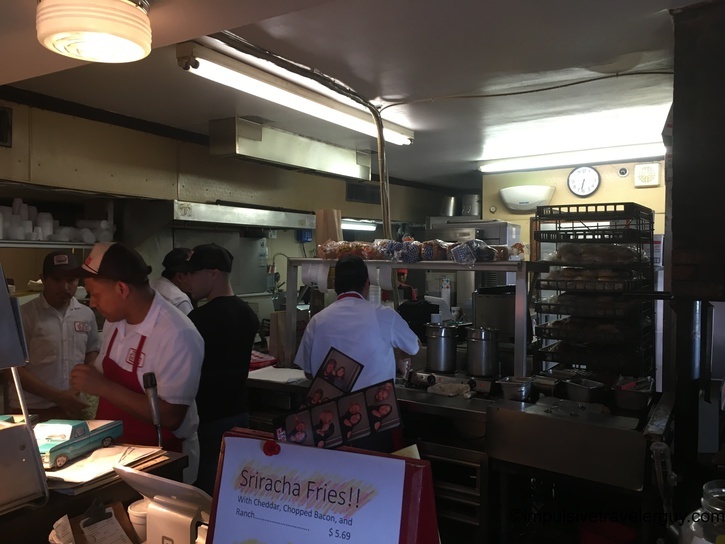 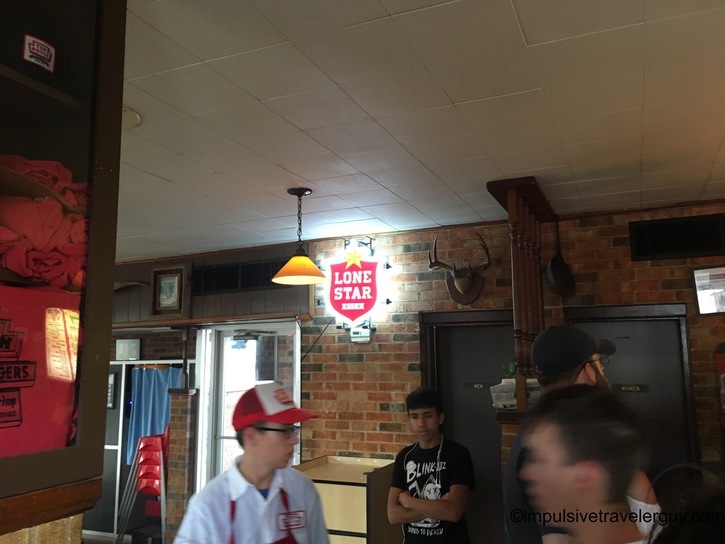 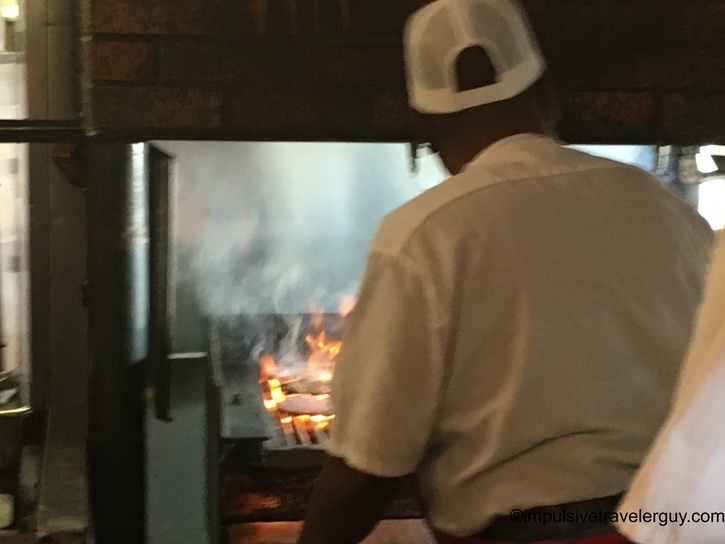 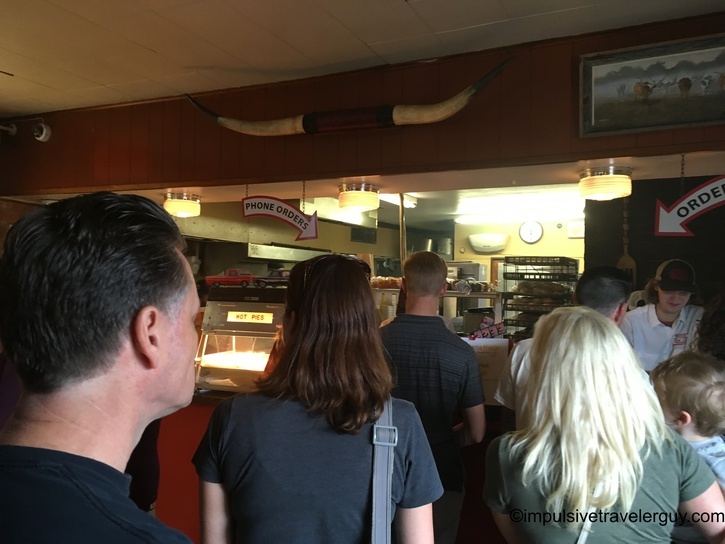 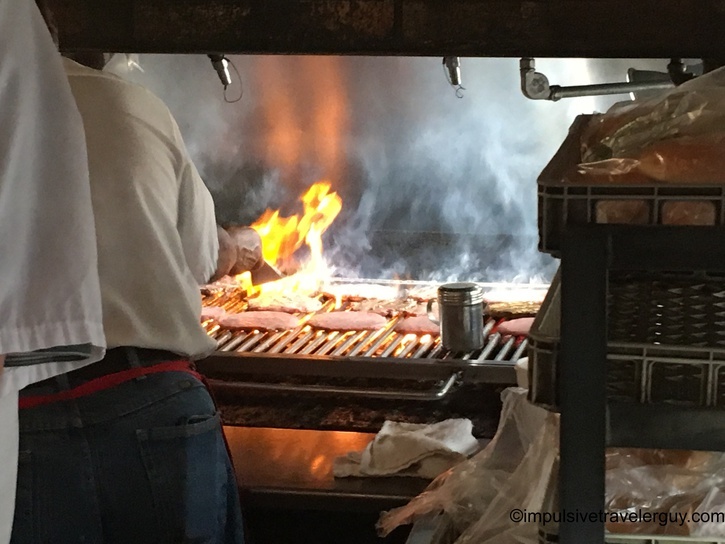 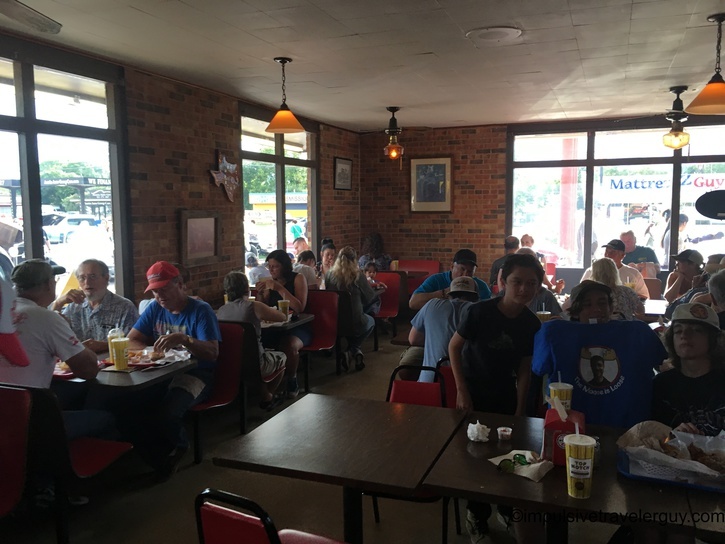 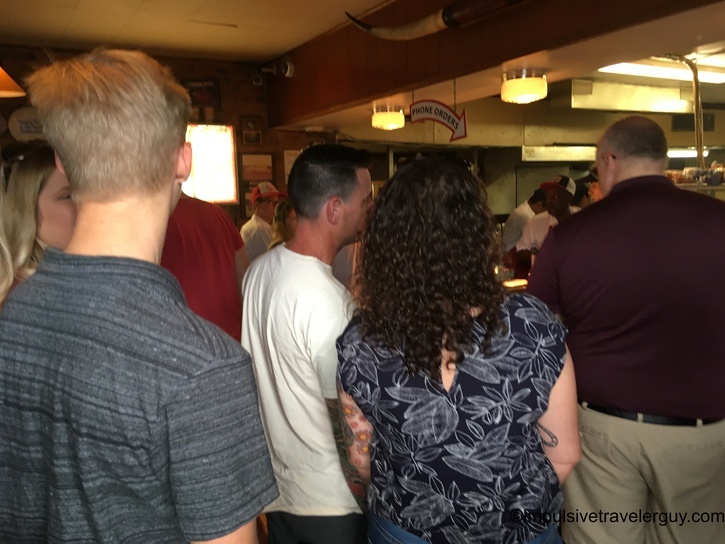 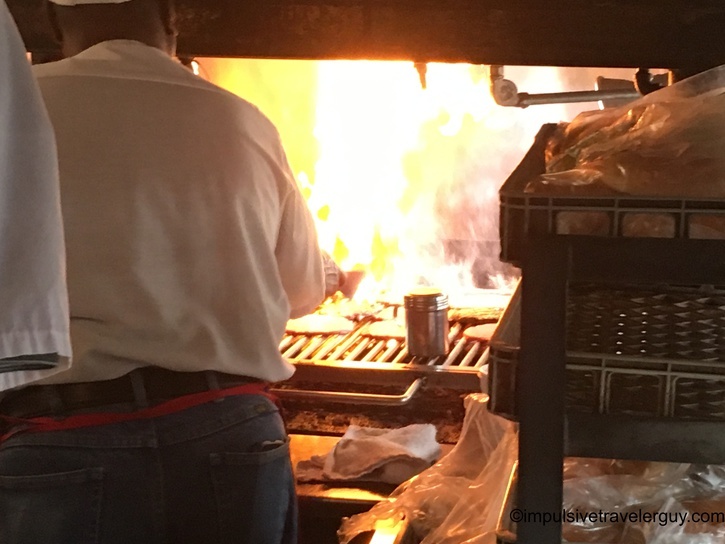 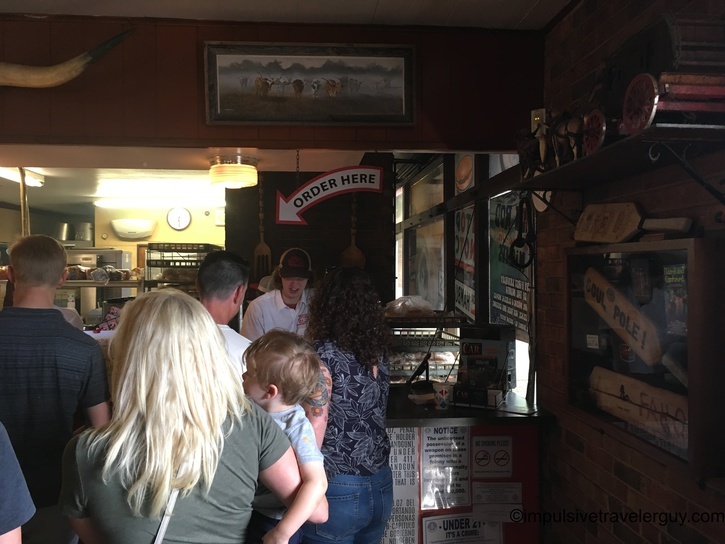 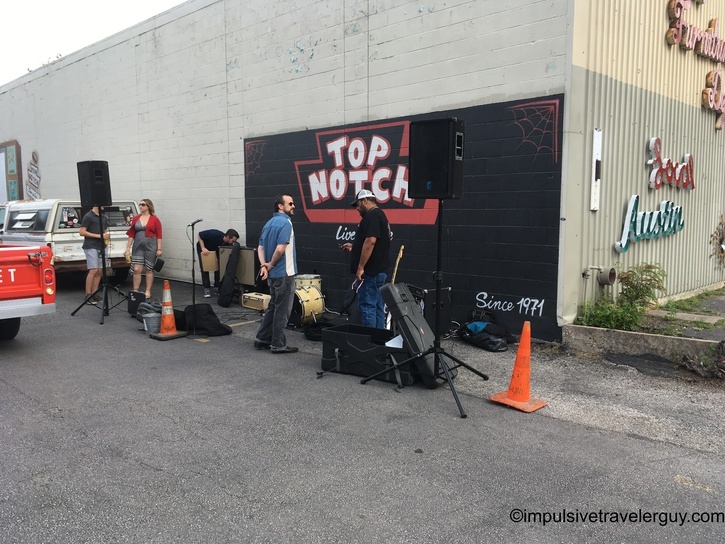 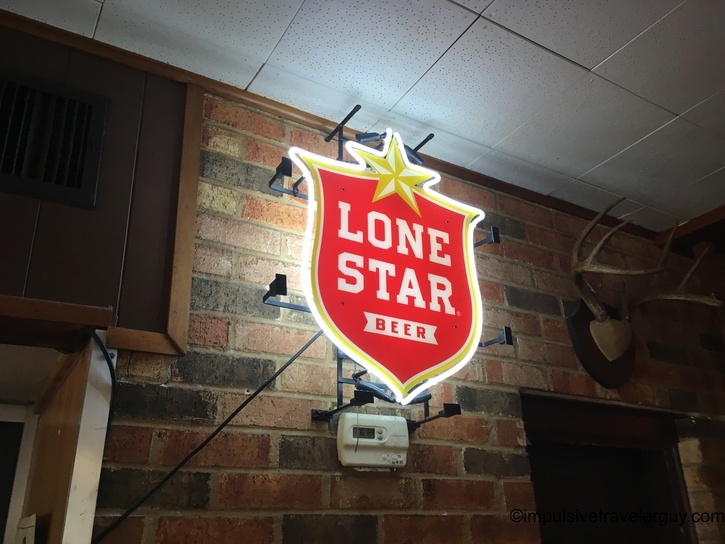 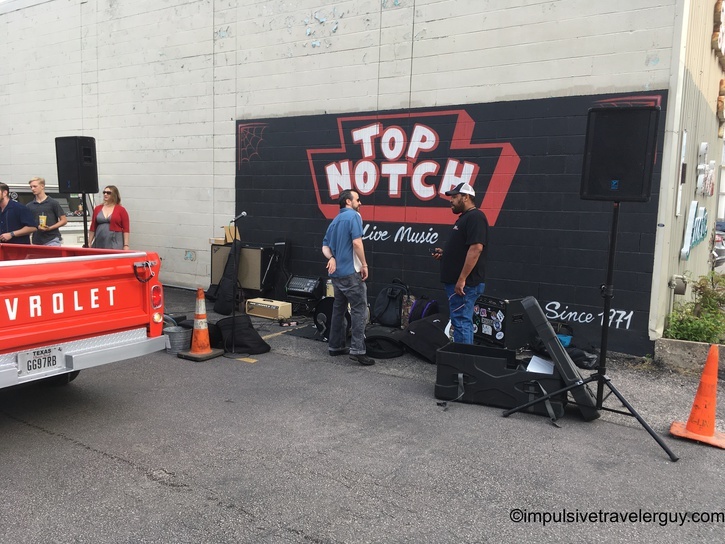 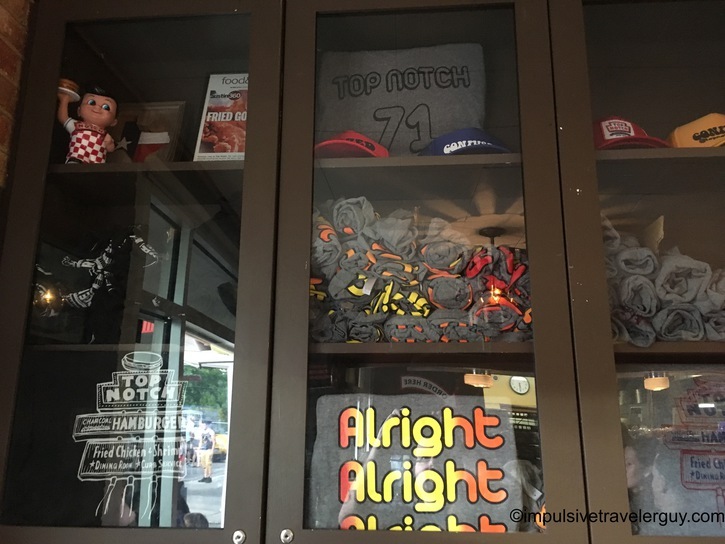 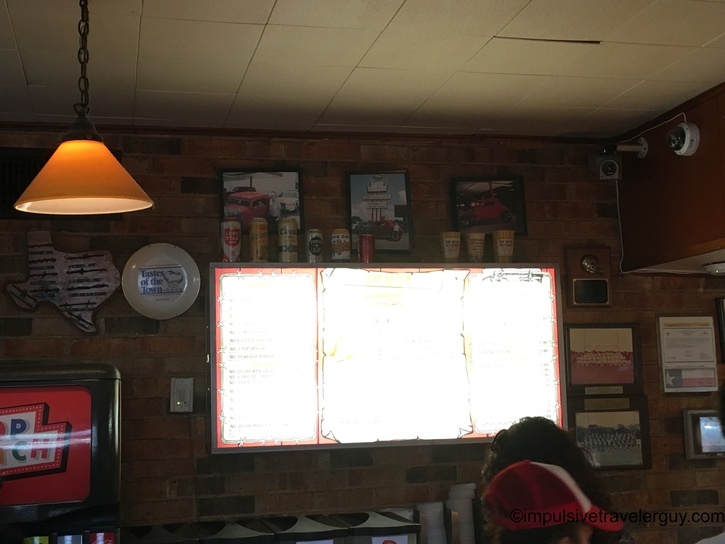 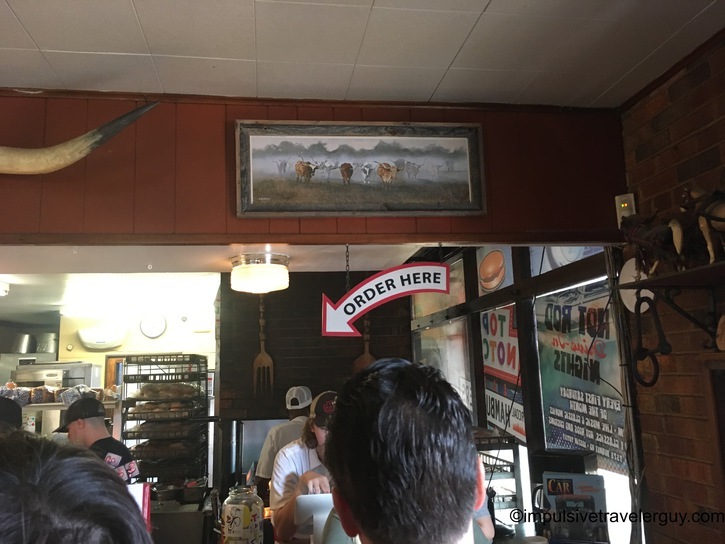 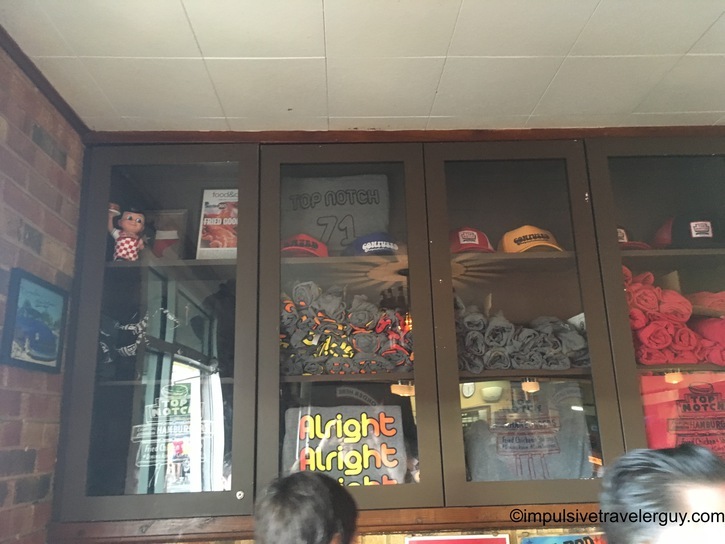 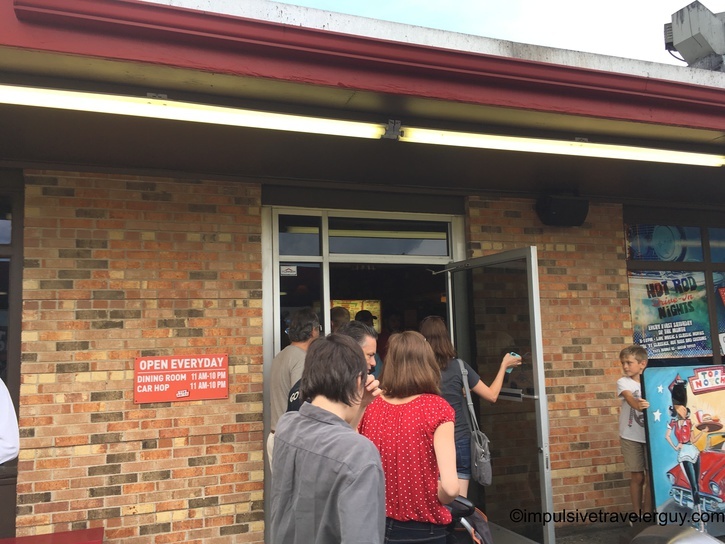 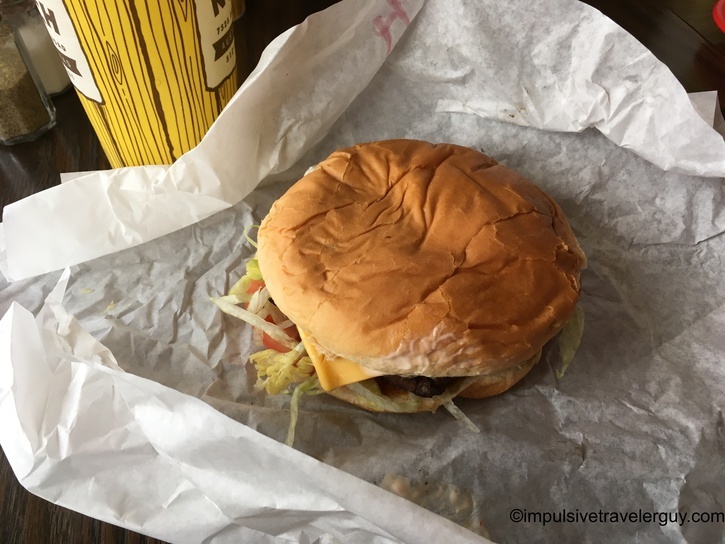 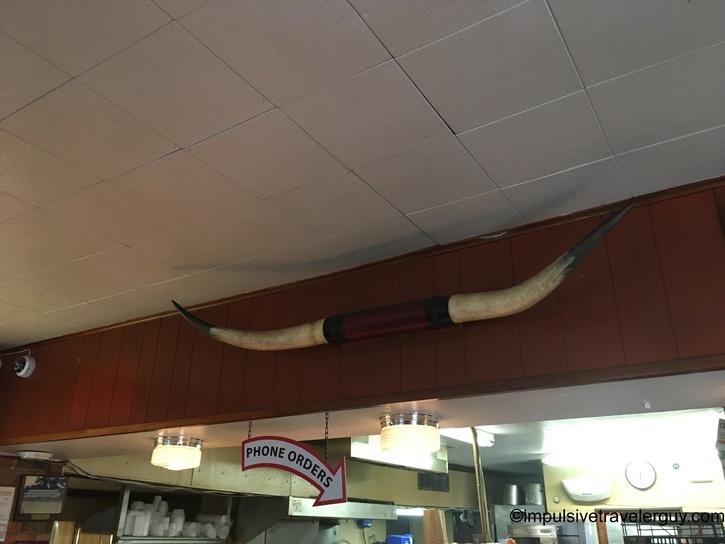 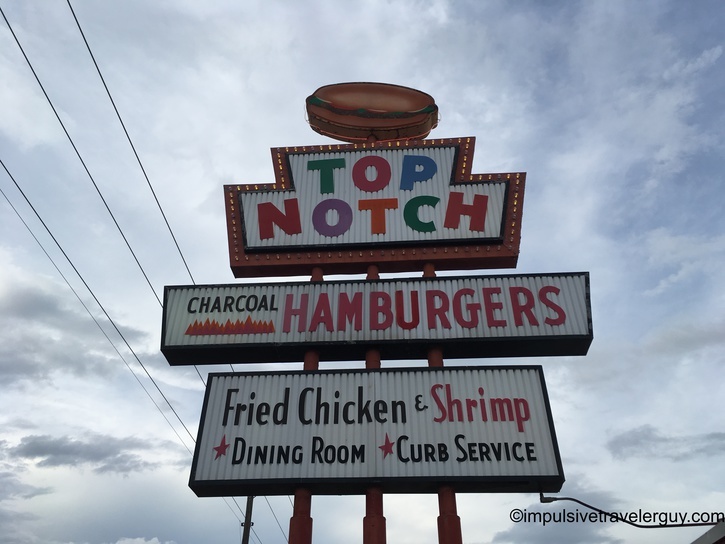 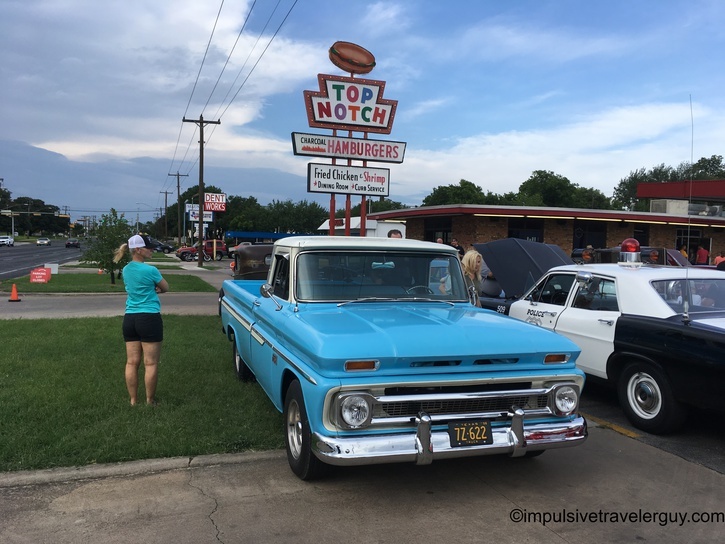 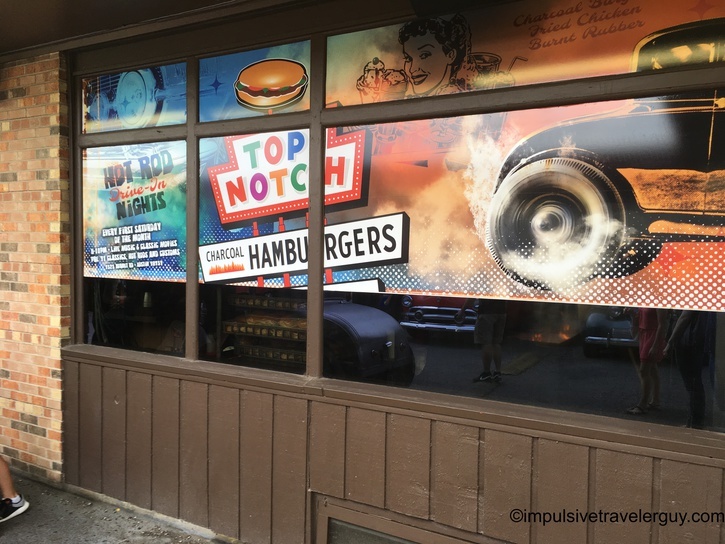 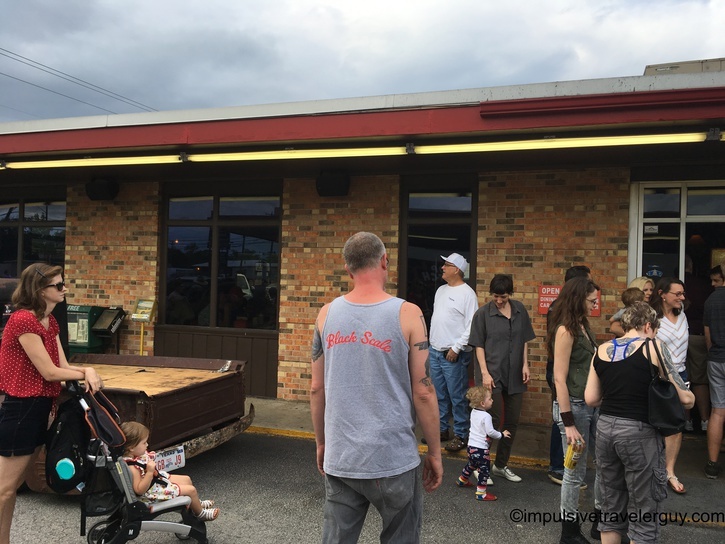 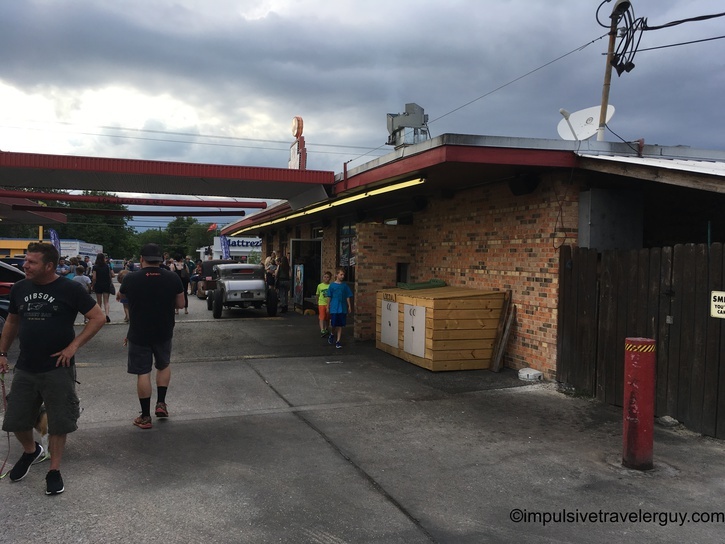 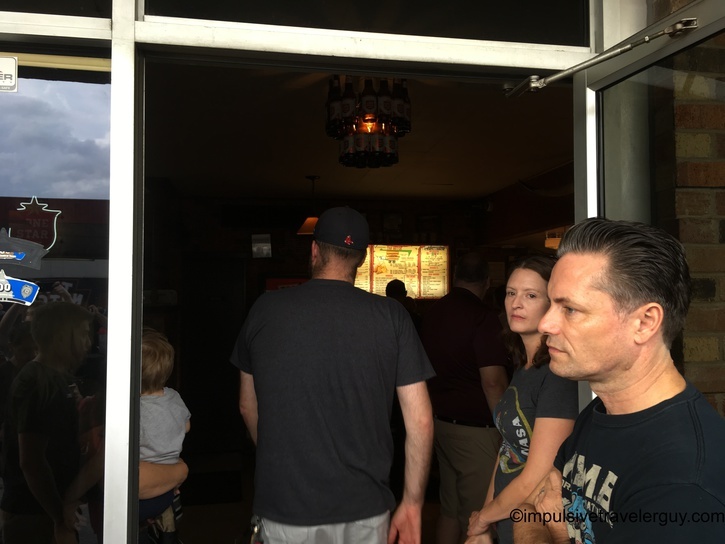 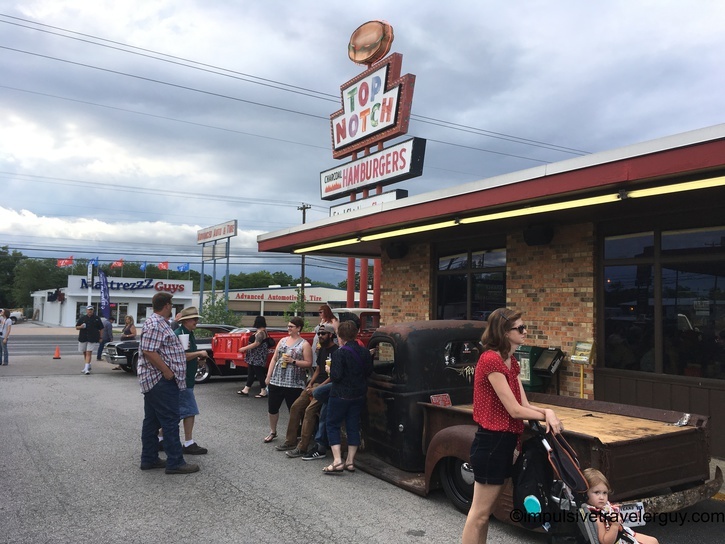 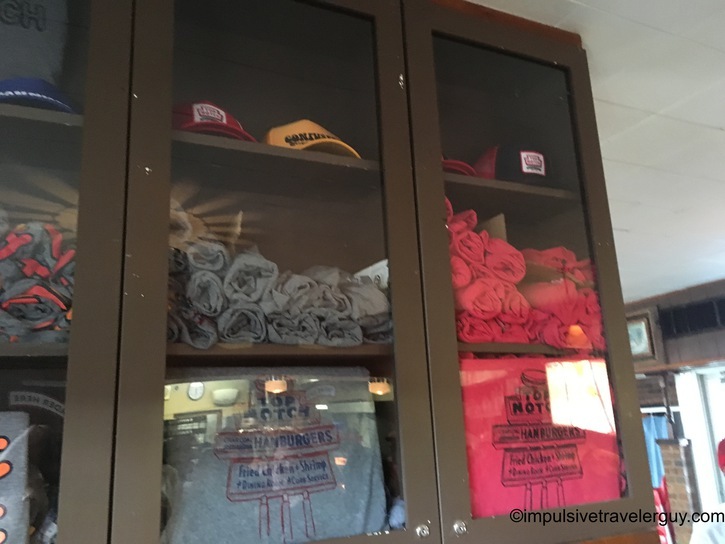 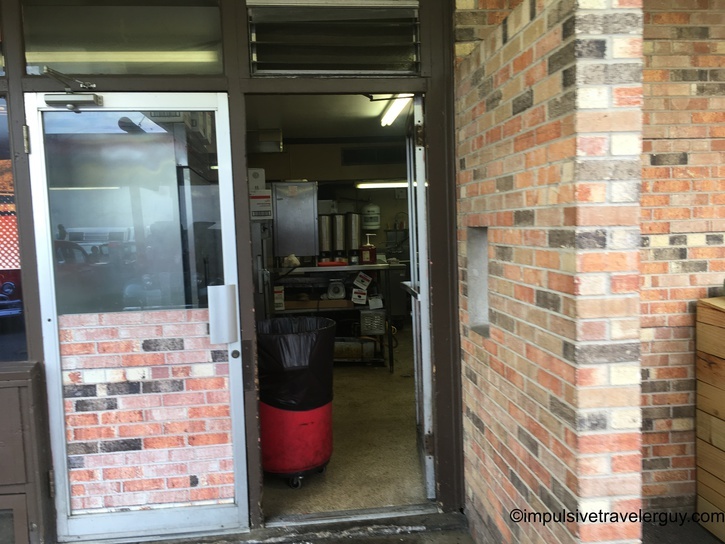 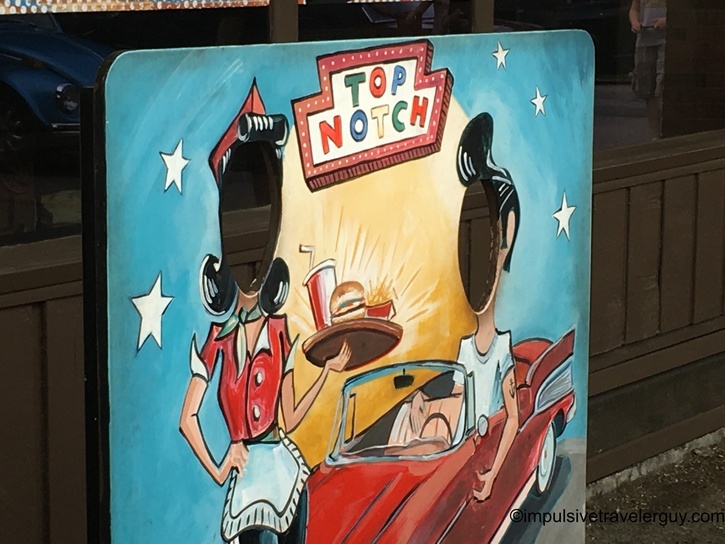 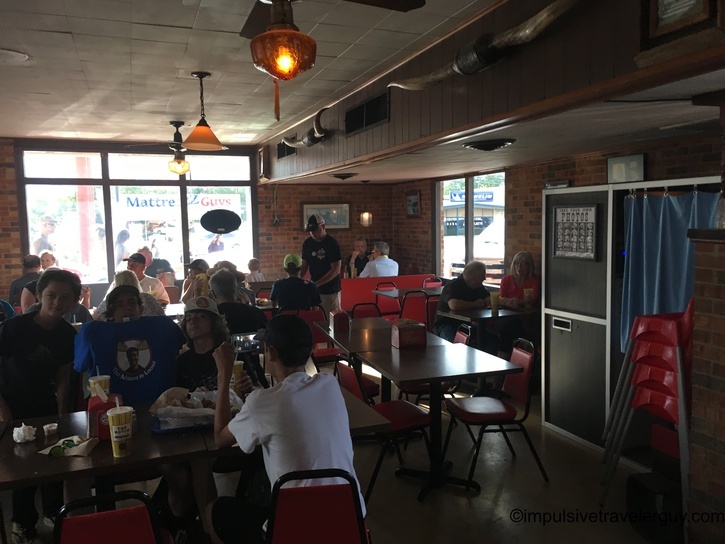 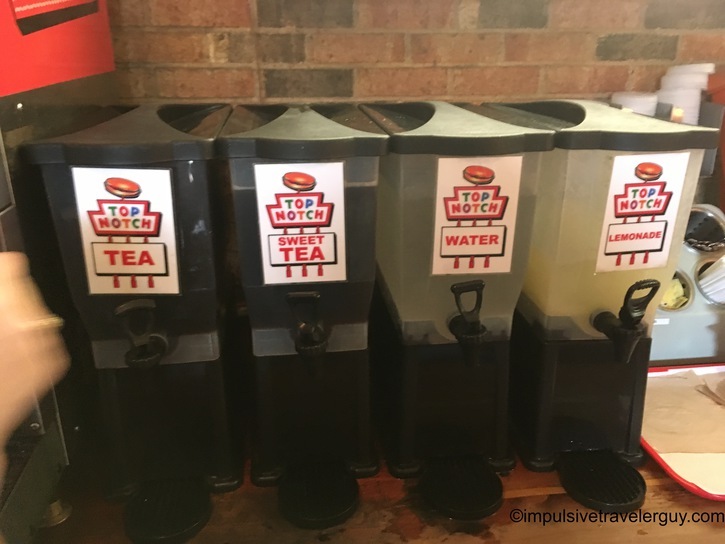 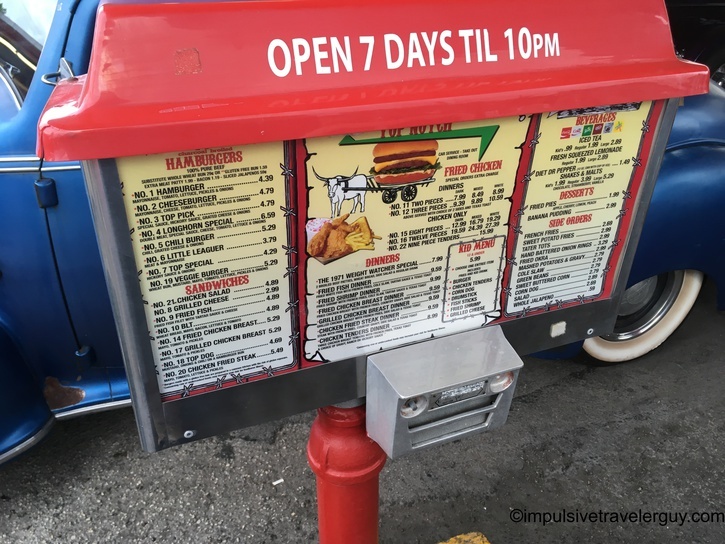 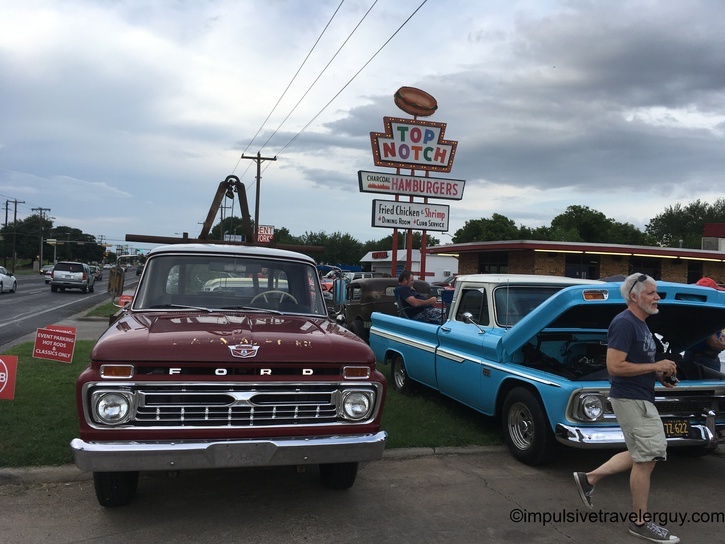 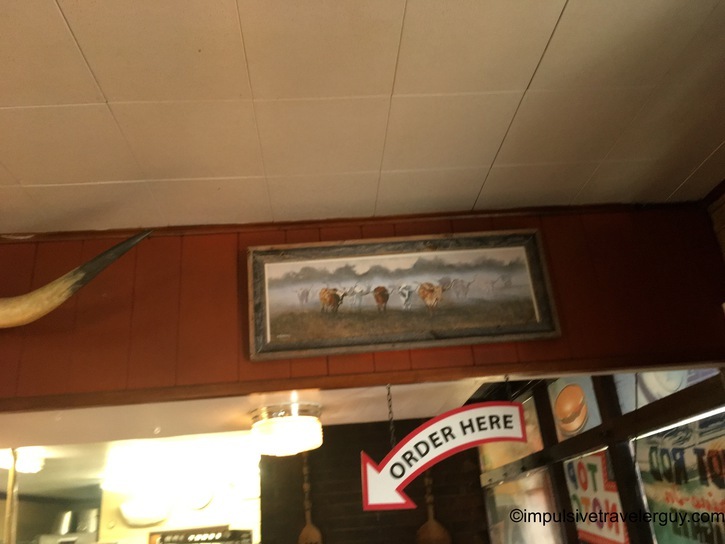 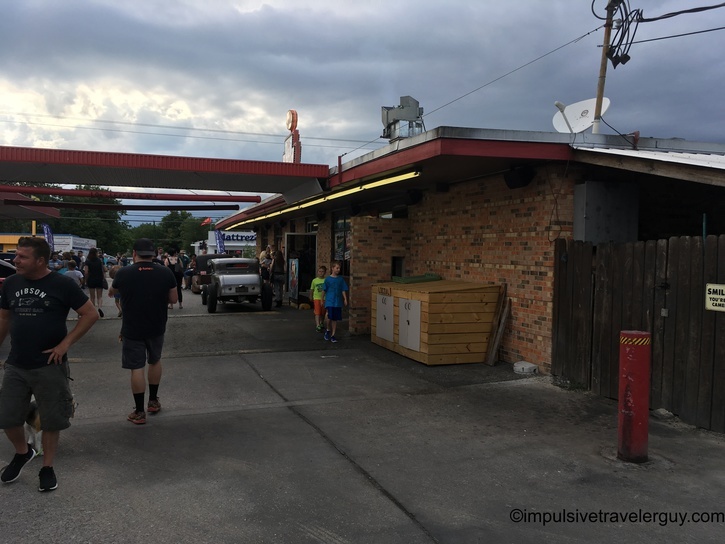 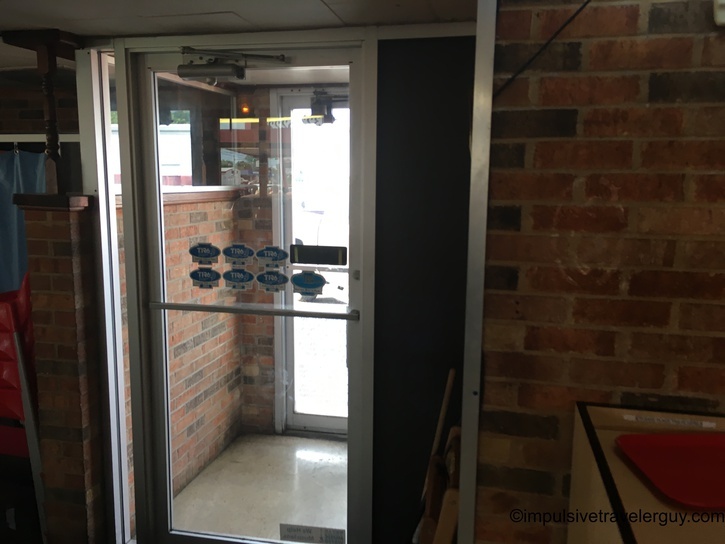 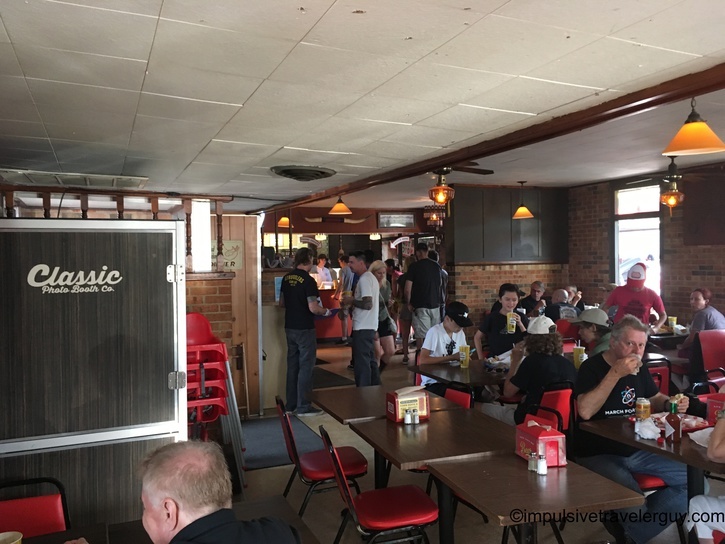 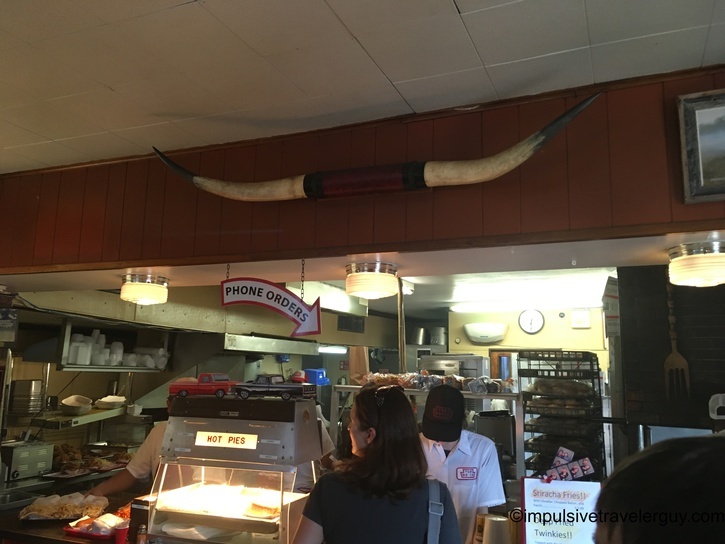 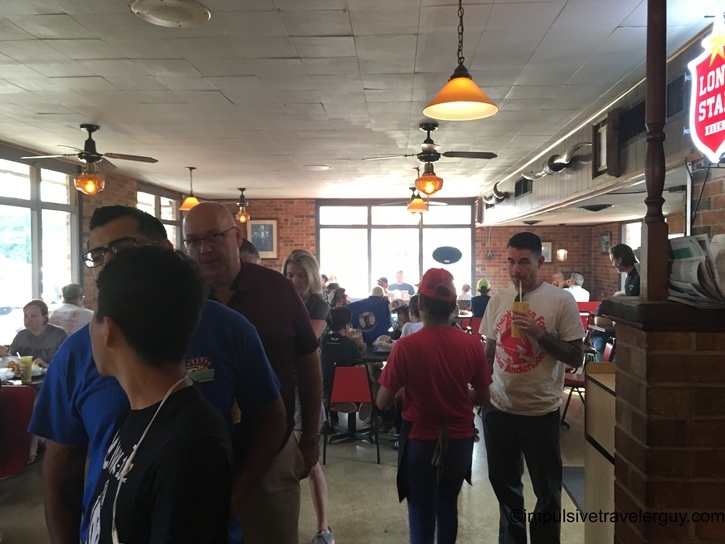 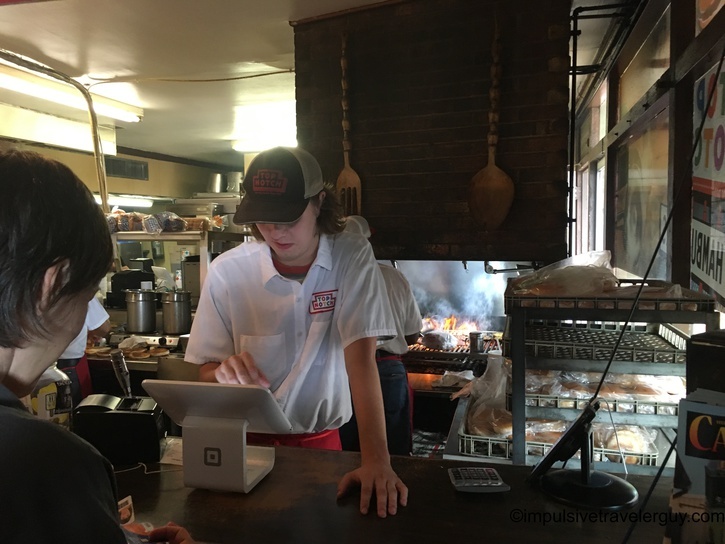 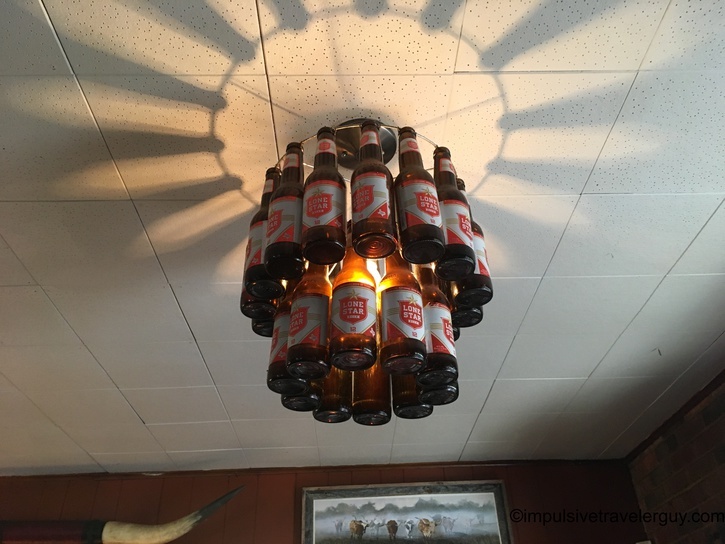 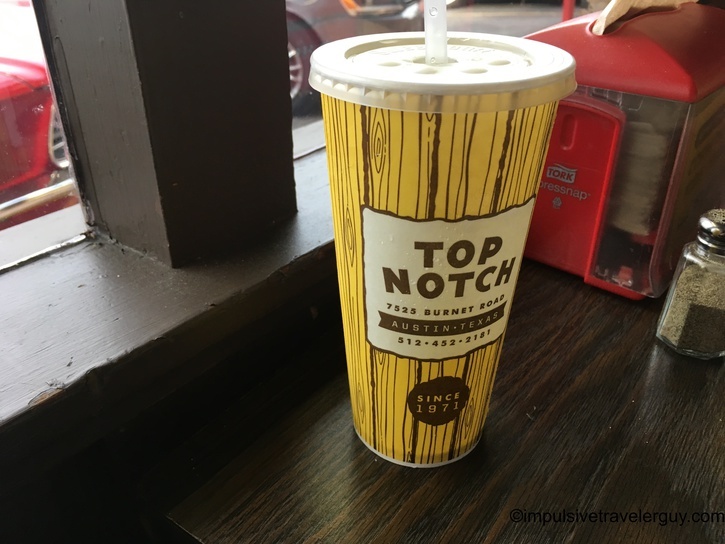 If you want an iconic Austin place to get a burger, Top Notch is the place to go. 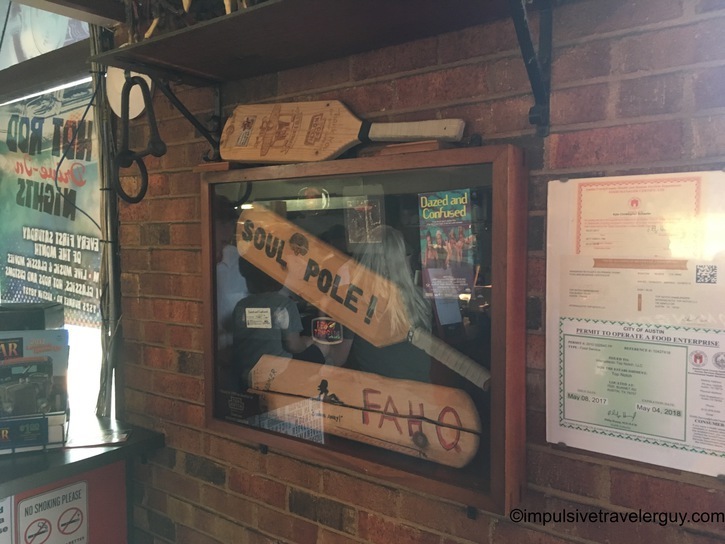 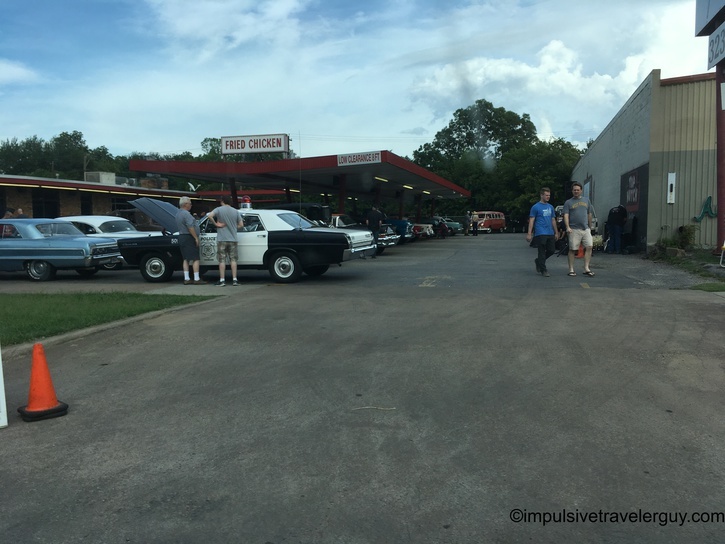 The movie Dazed and Confused also made it a bit famous. 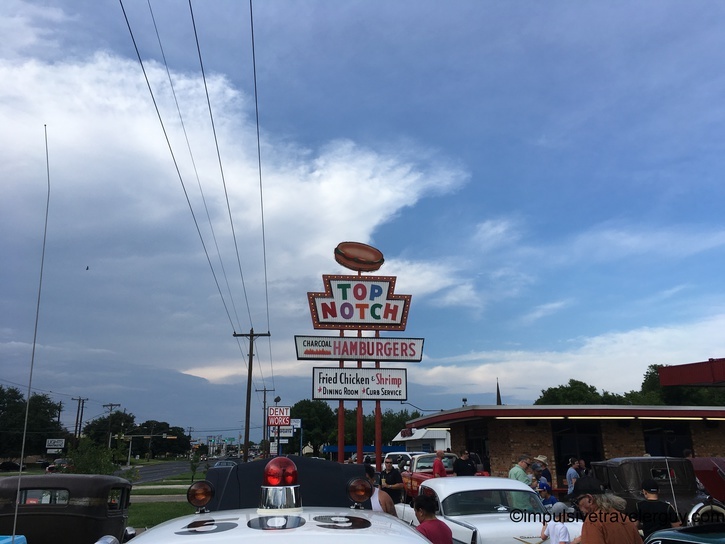 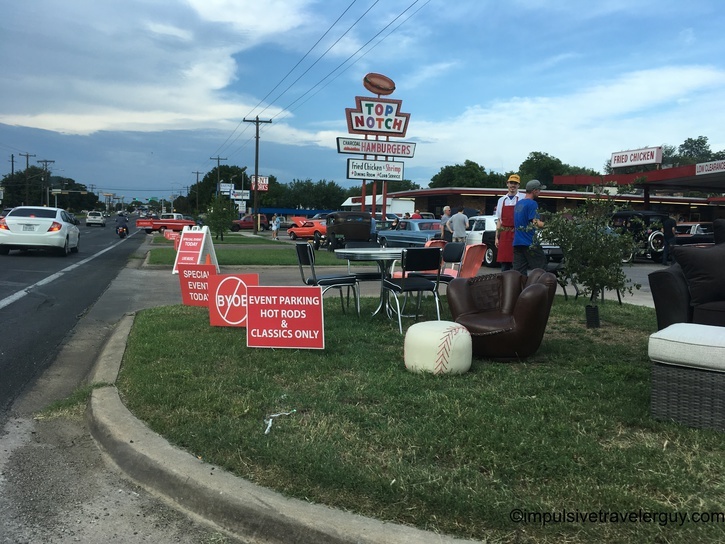 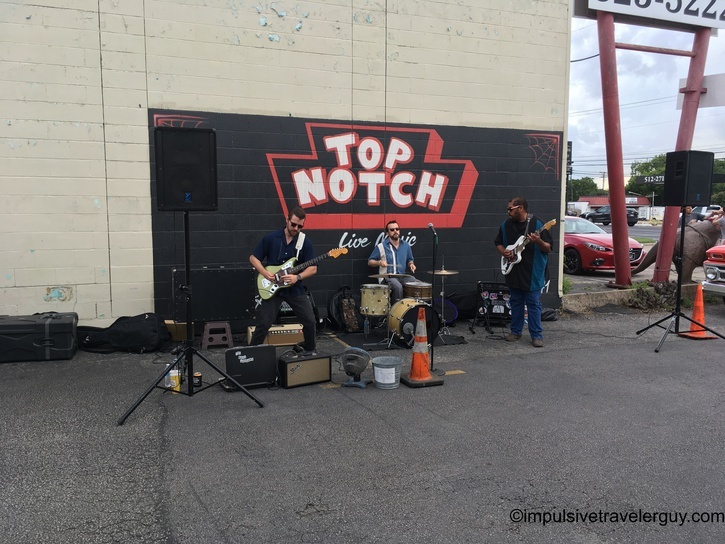 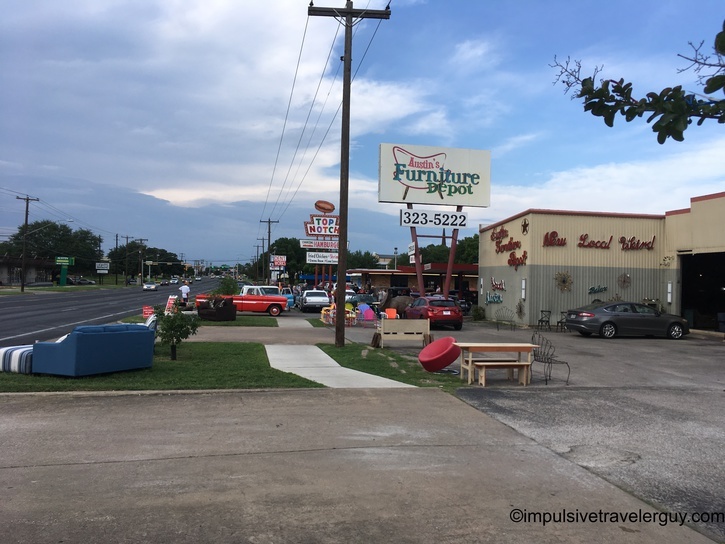 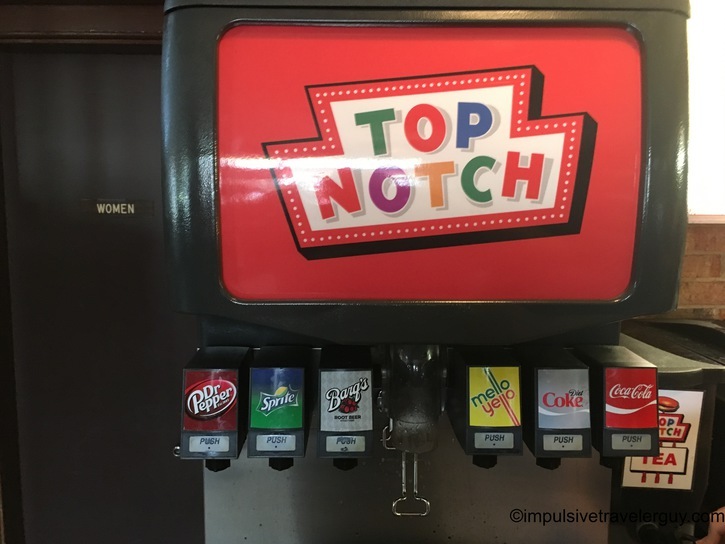 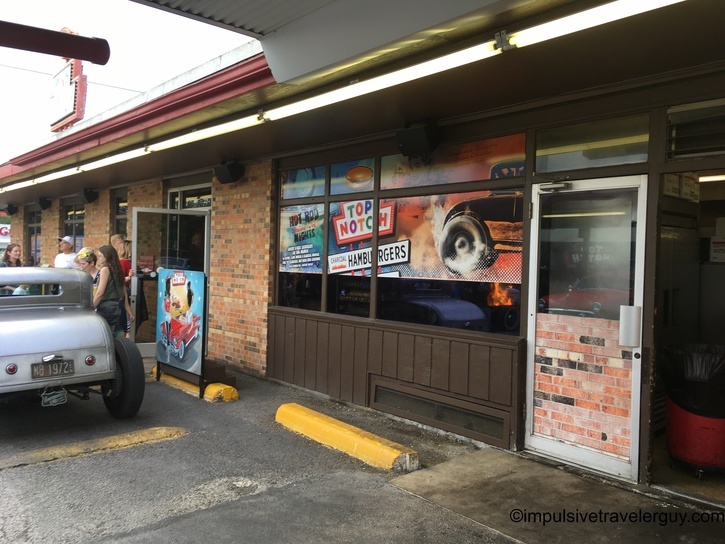 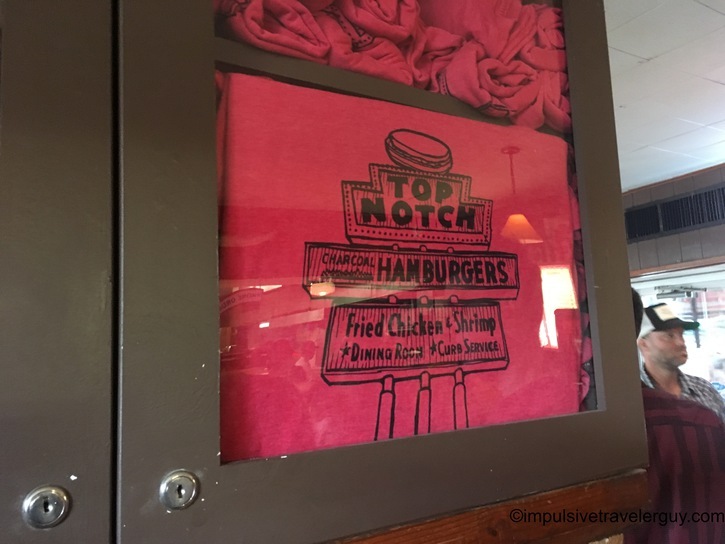 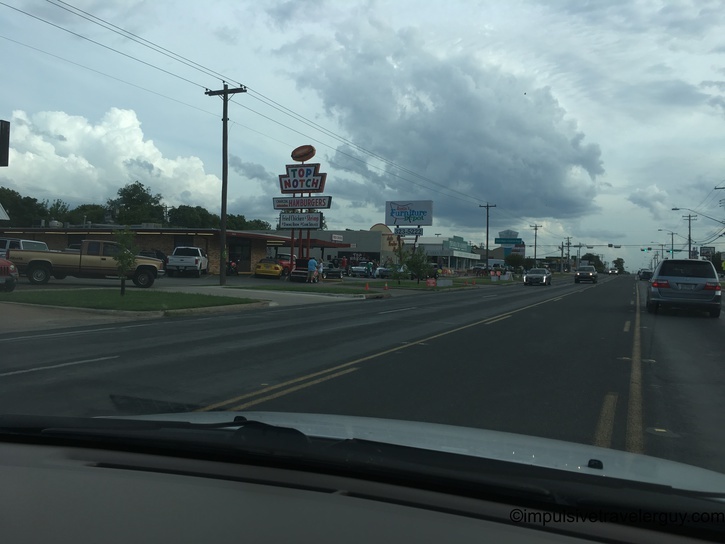 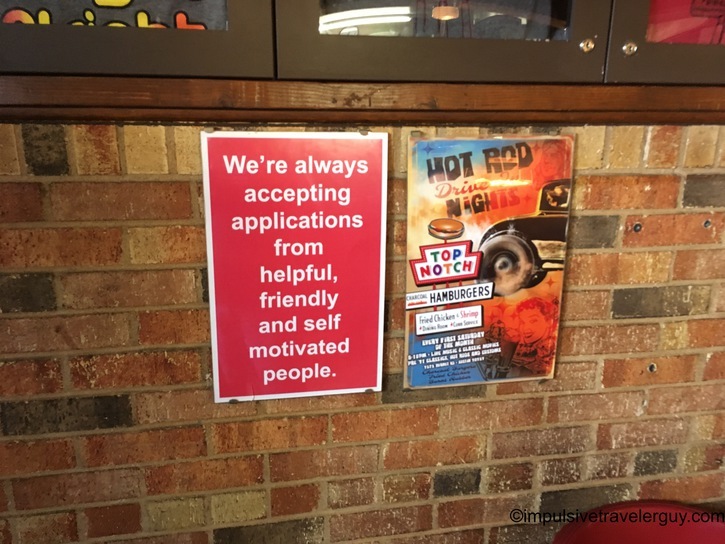 While in the movie they imply Top Notch is a chain, there is actually only one of them in Austin on Burnet Road. 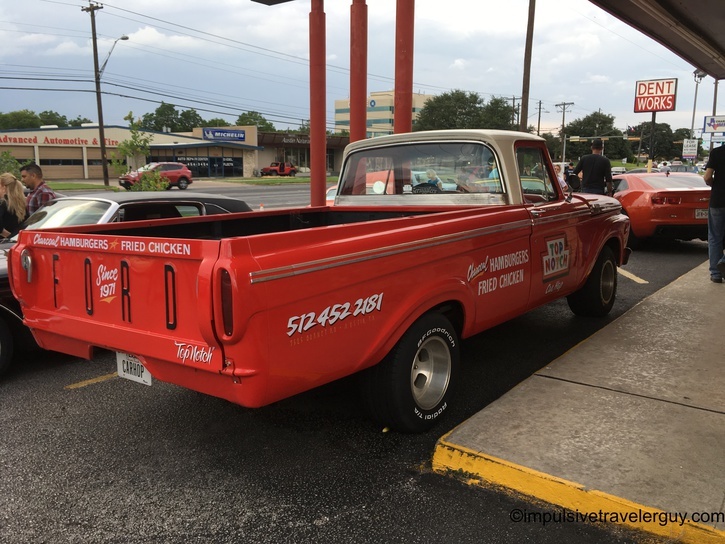 It is really well-preserved relic of times gone past. 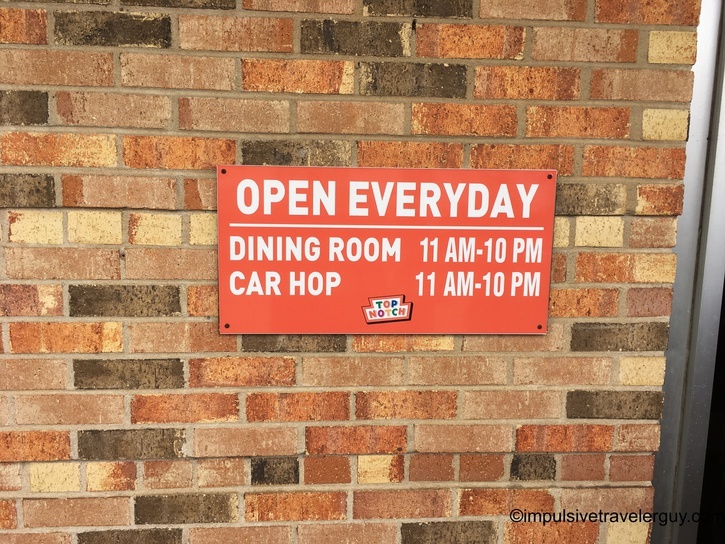 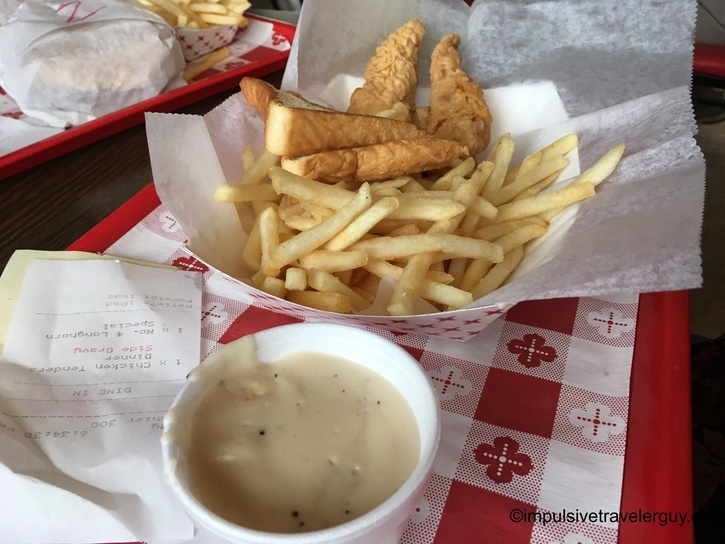 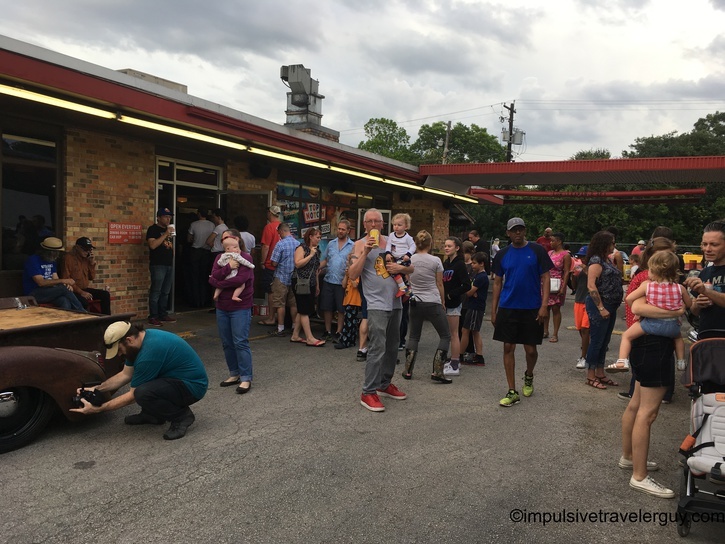 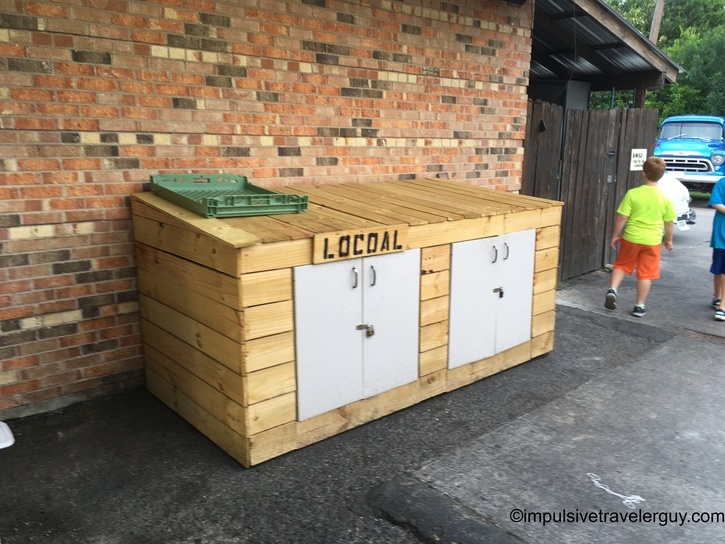 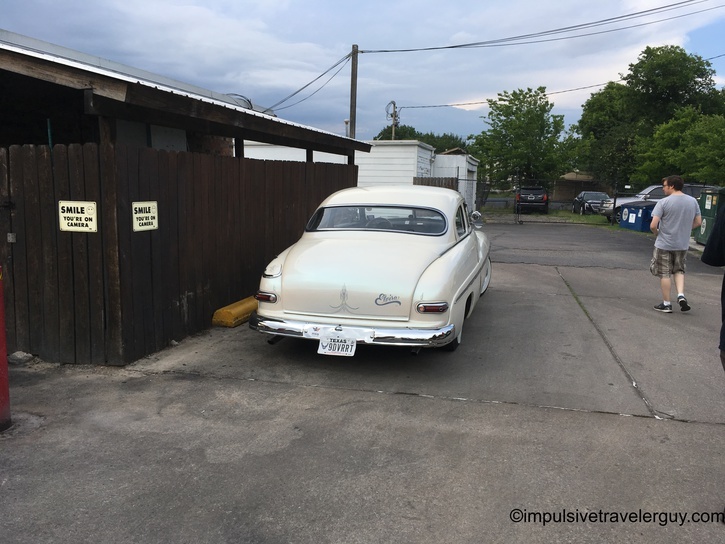 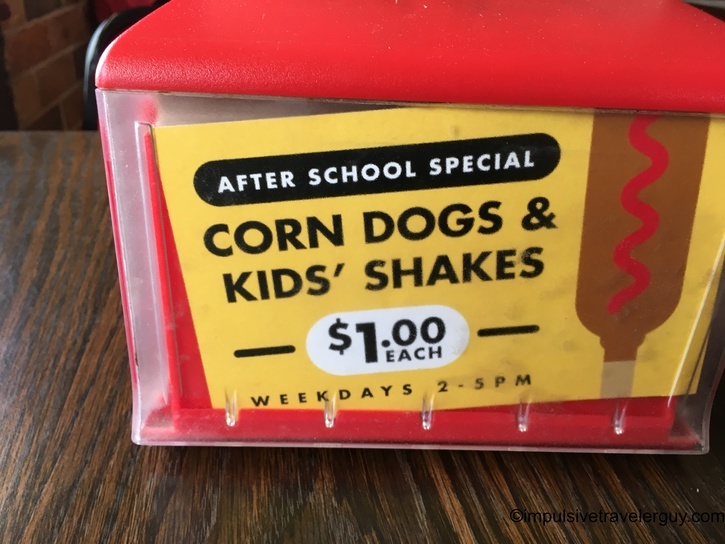 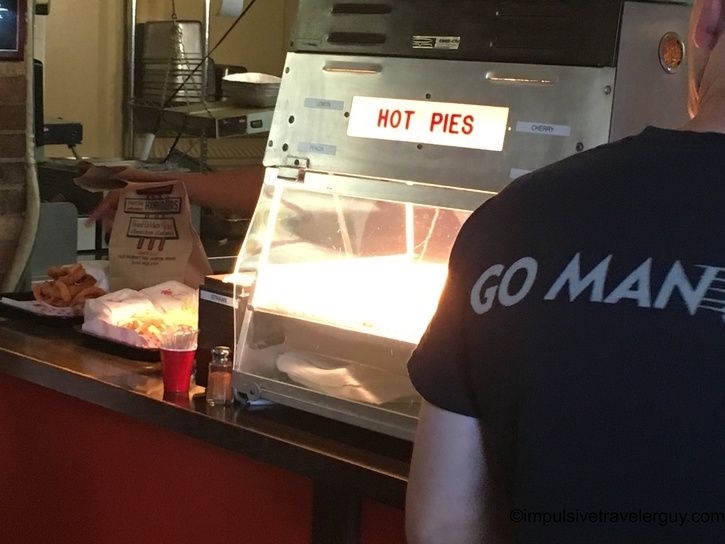 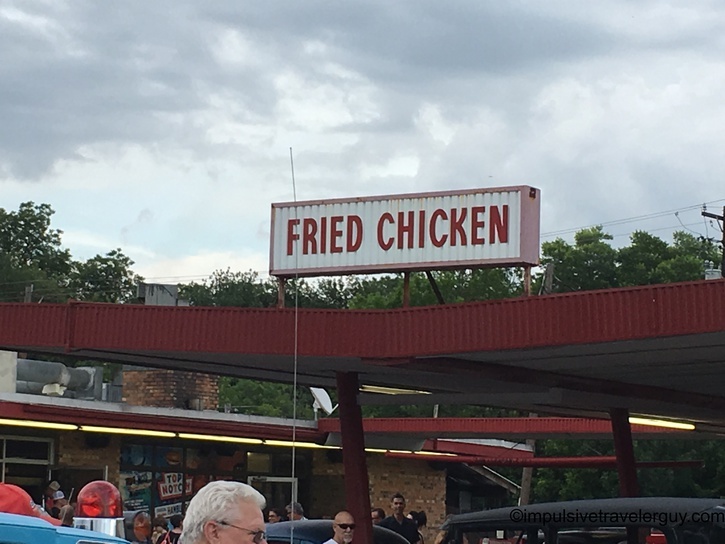 They also have excellent food and it’s one of my favorite places in Austin to go. 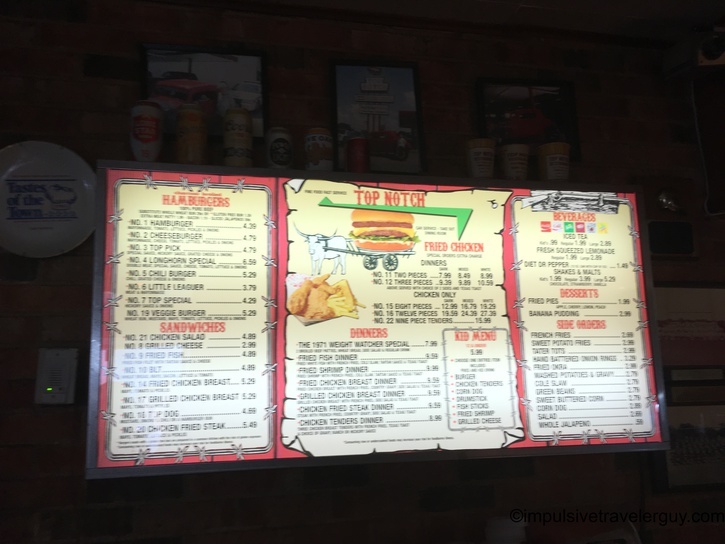 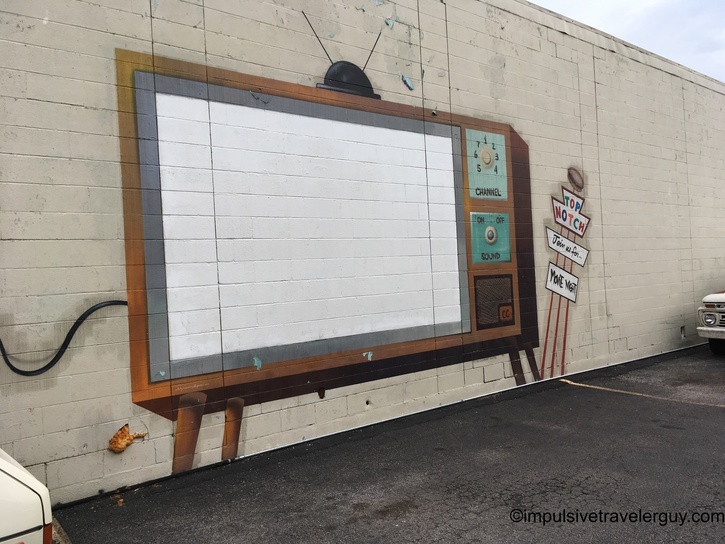 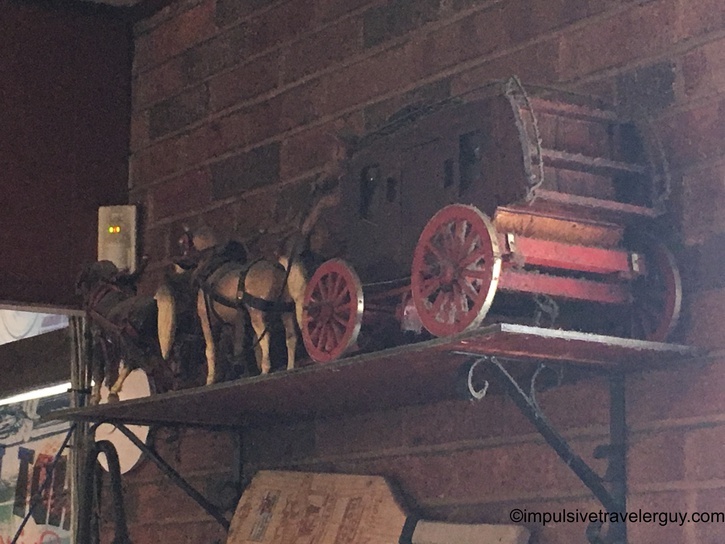 I have went there many times in the past, but never did a blog entry on them. 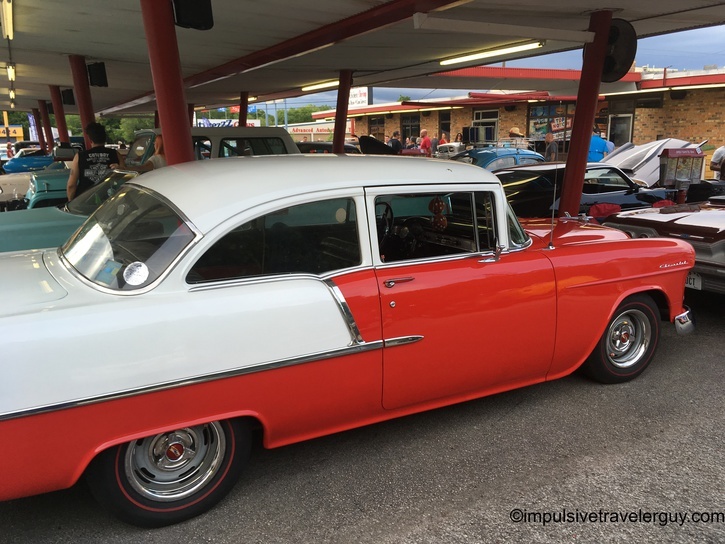 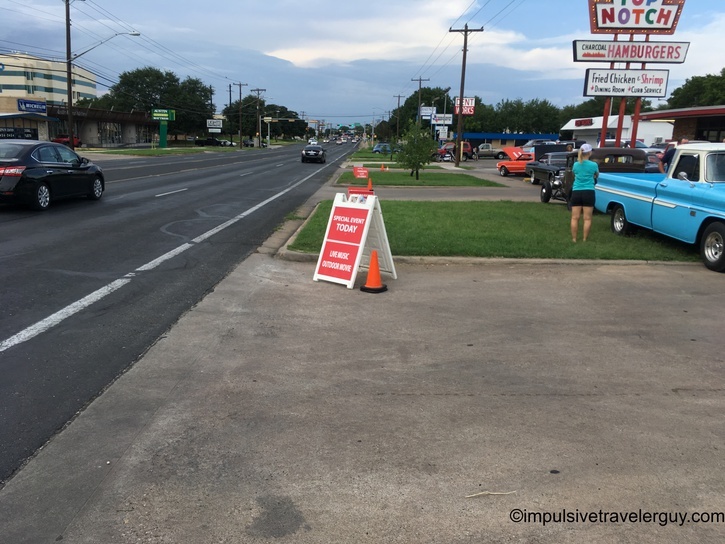 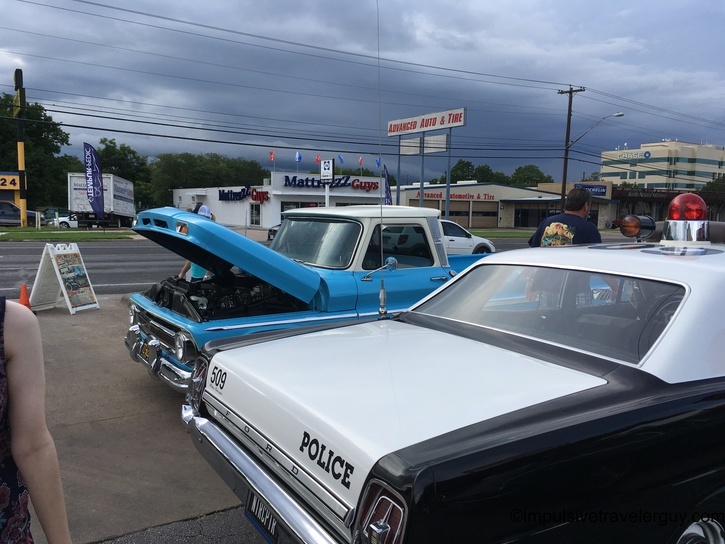 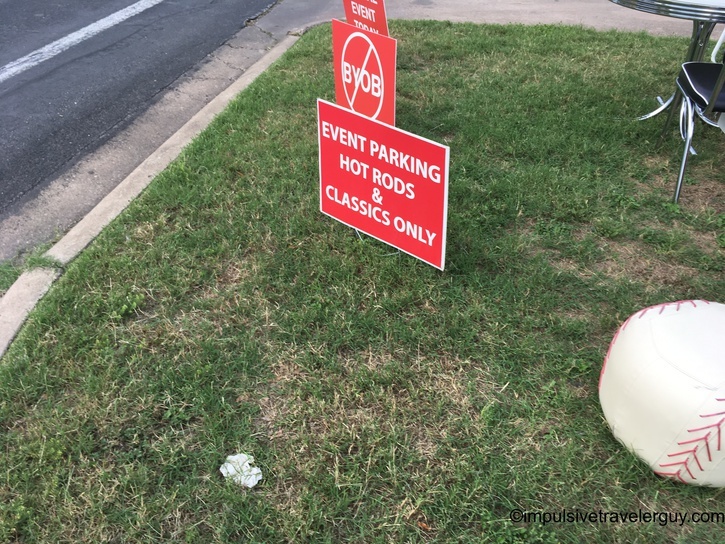 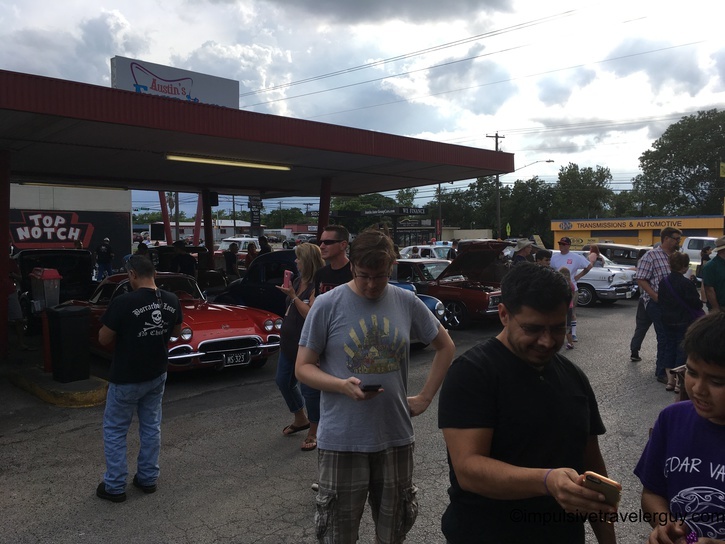 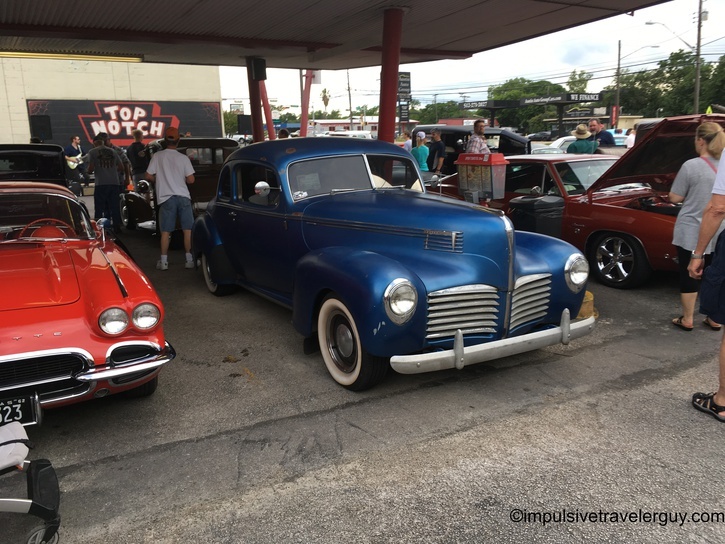 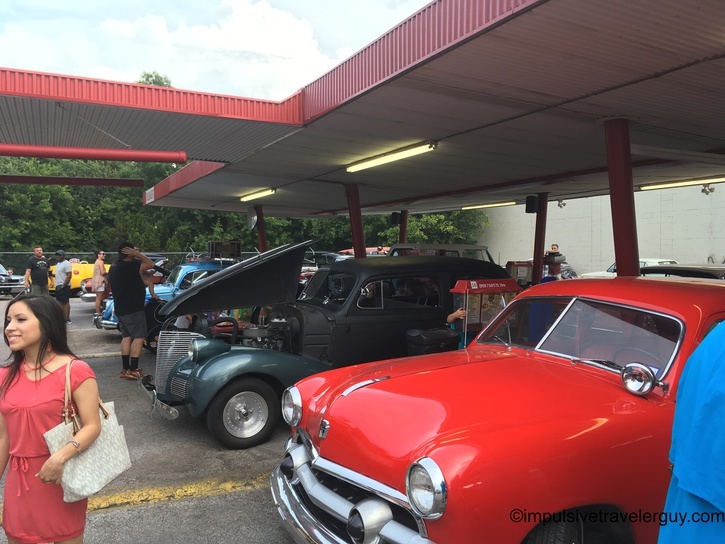 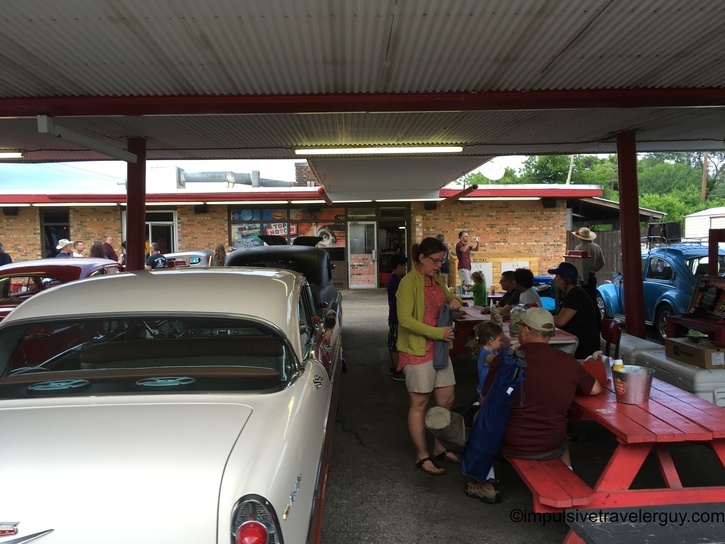 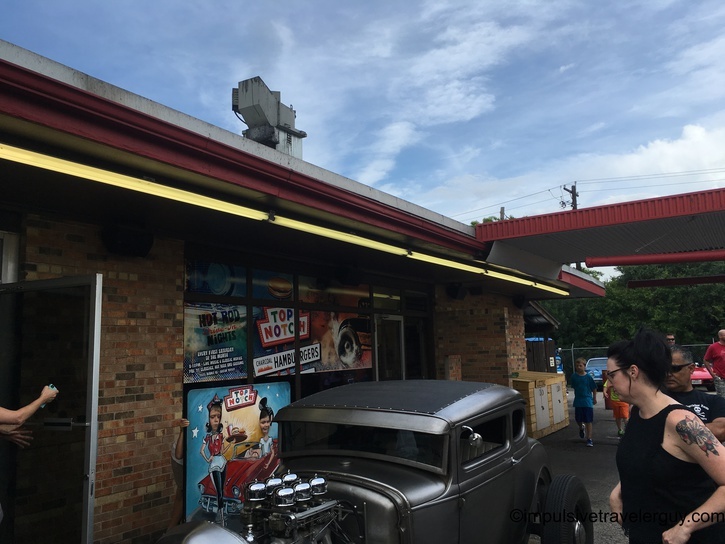 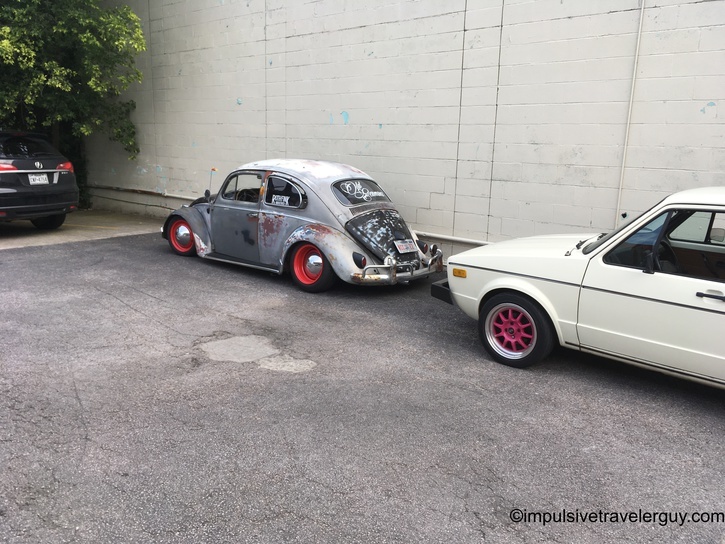 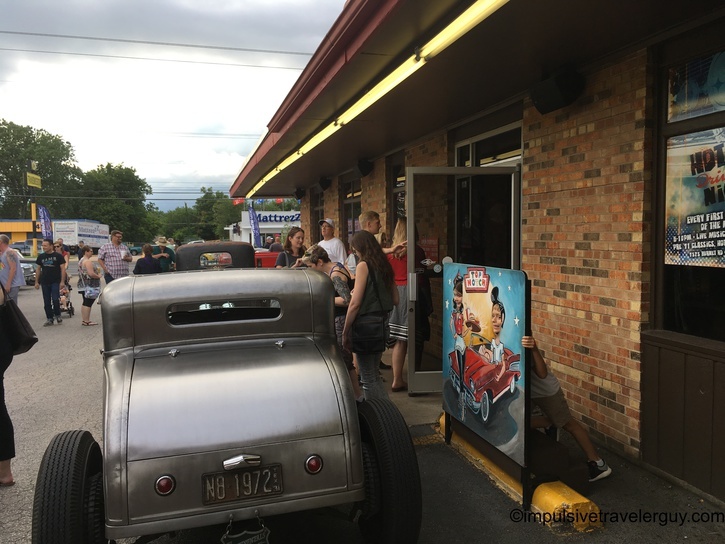 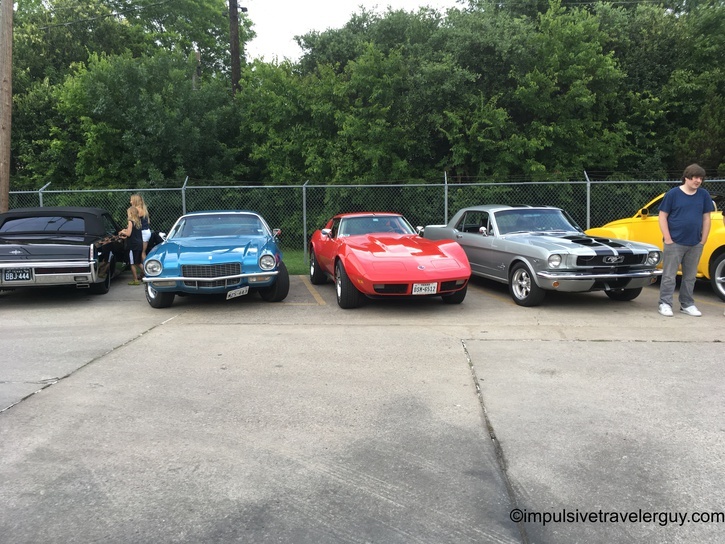 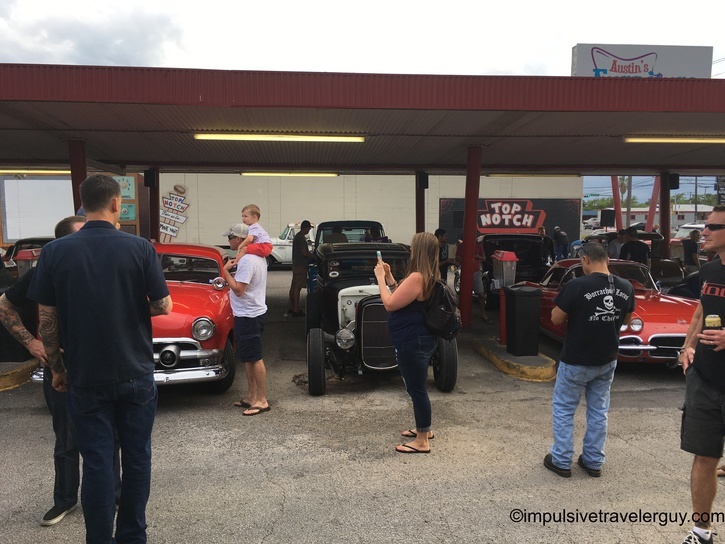 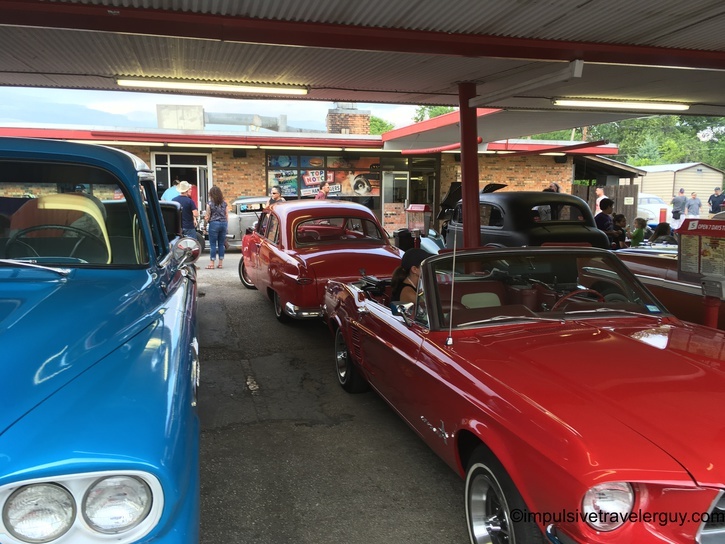 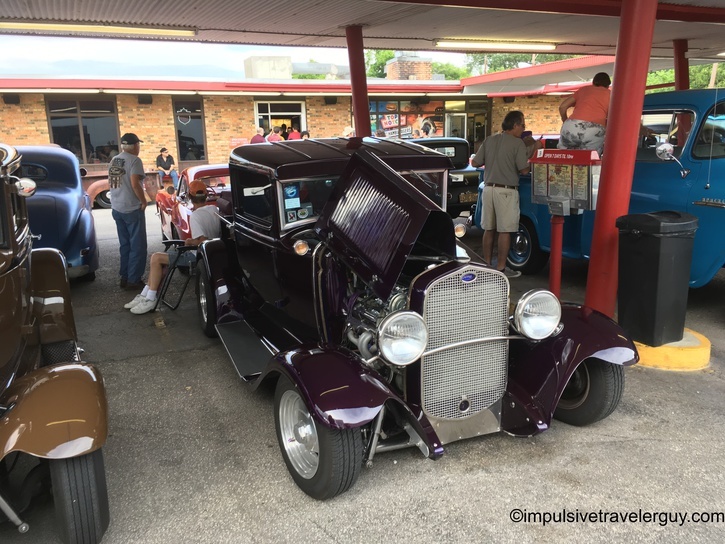 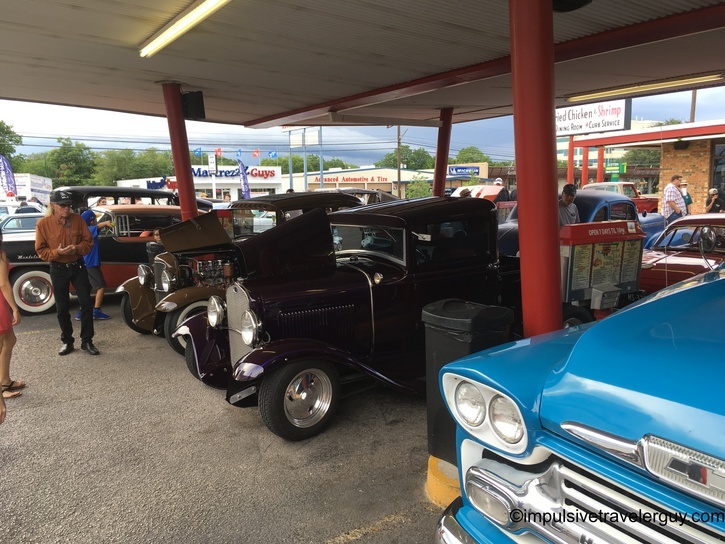 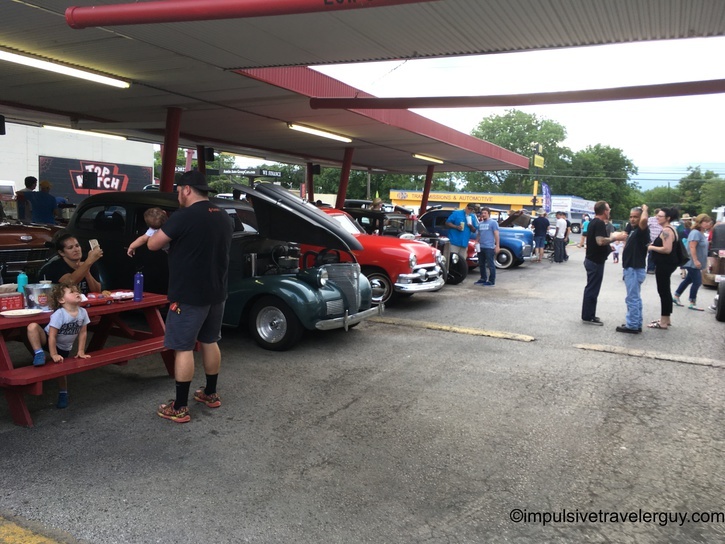 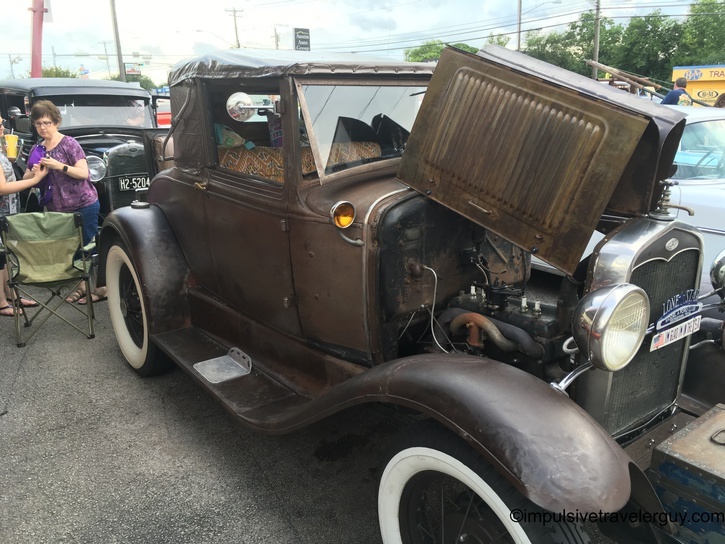 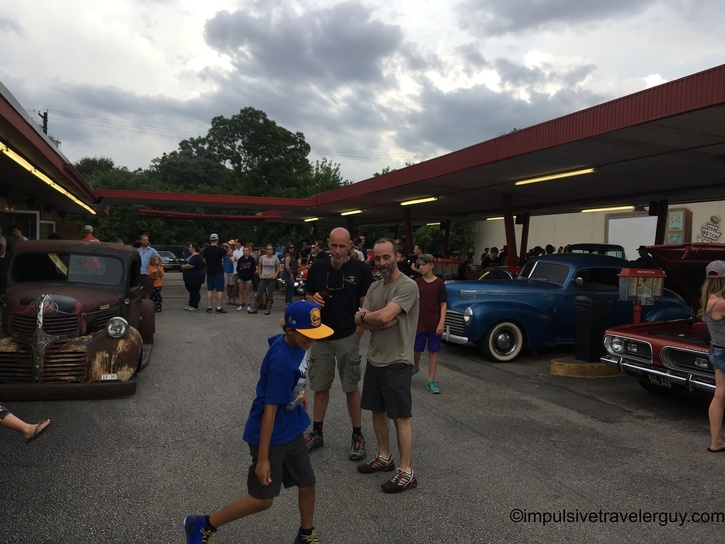 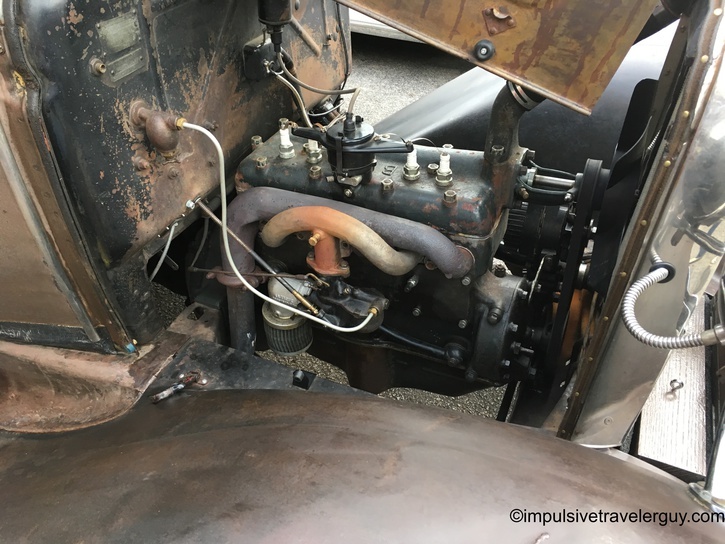 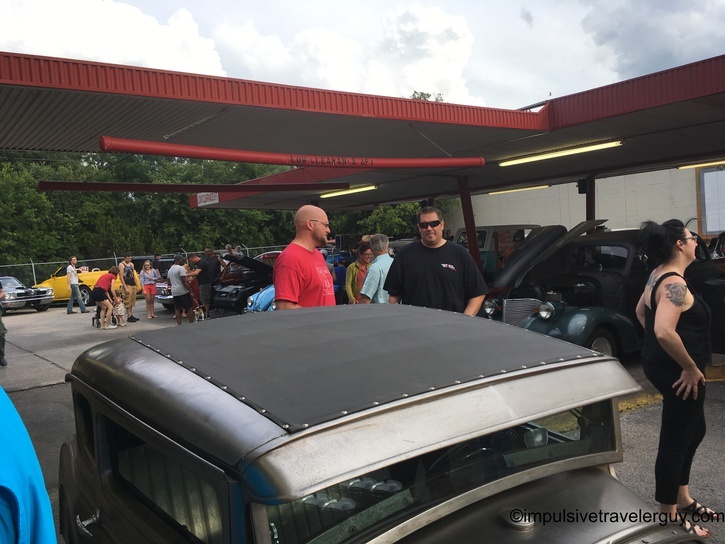 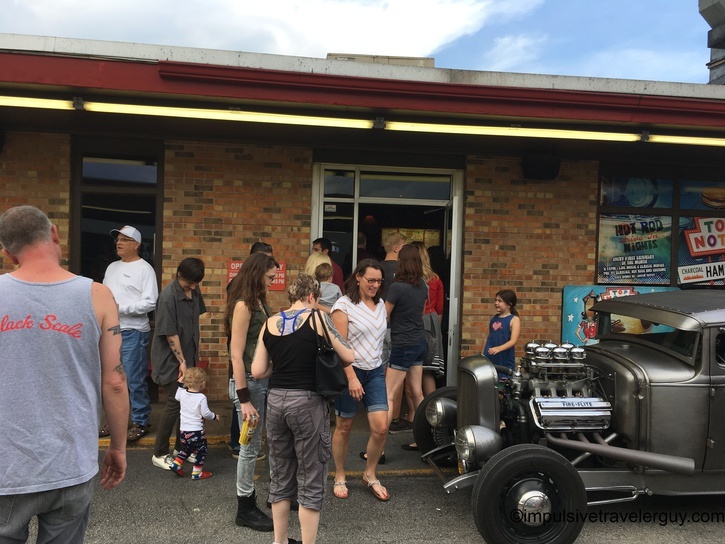 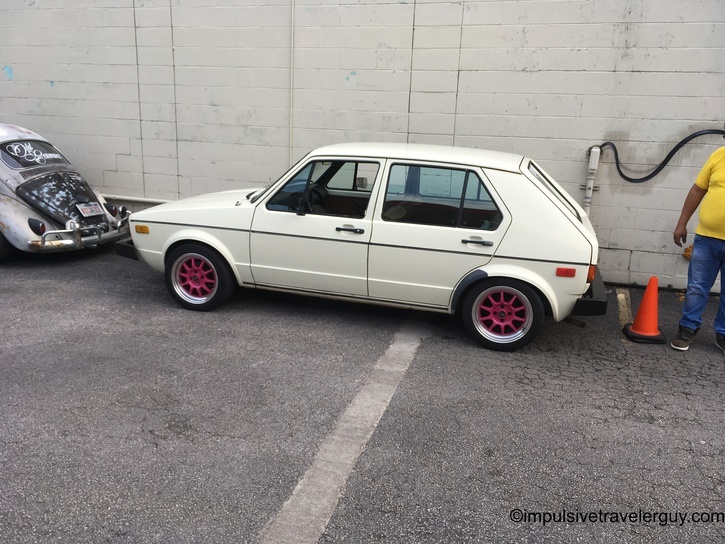 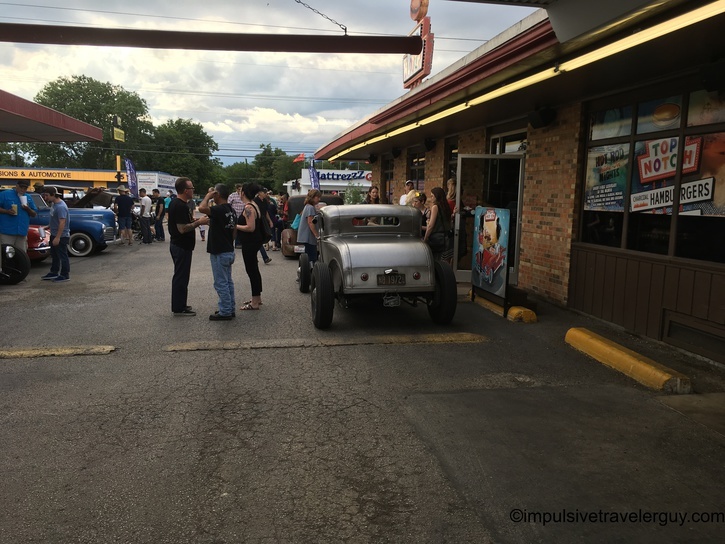 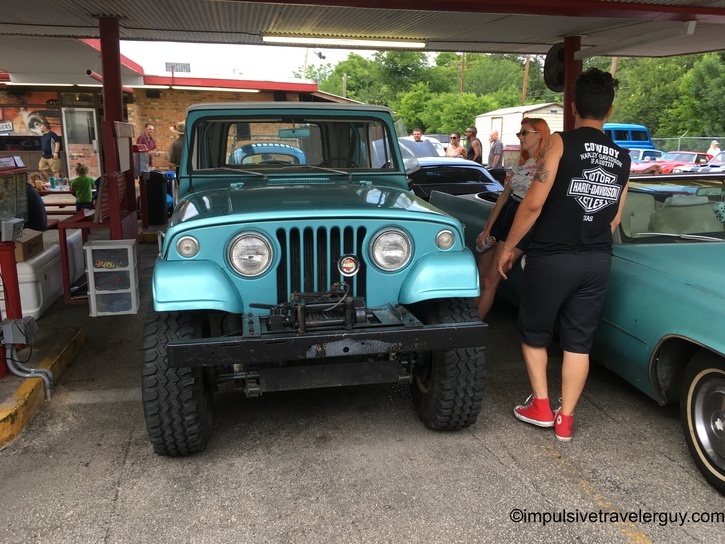 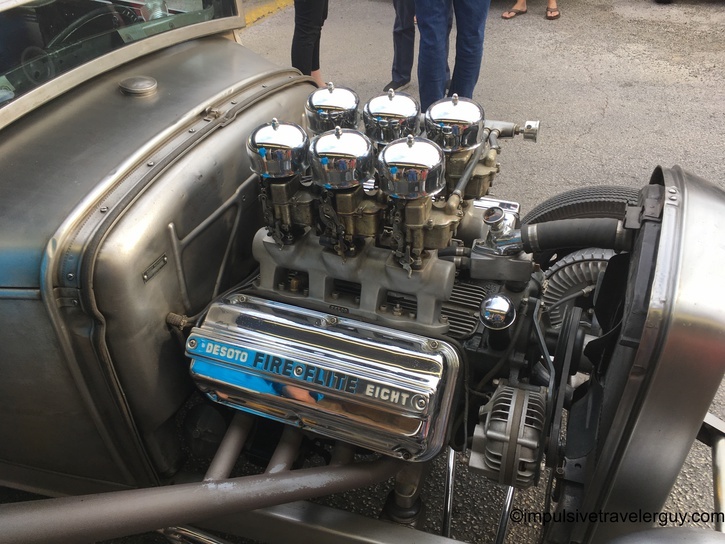 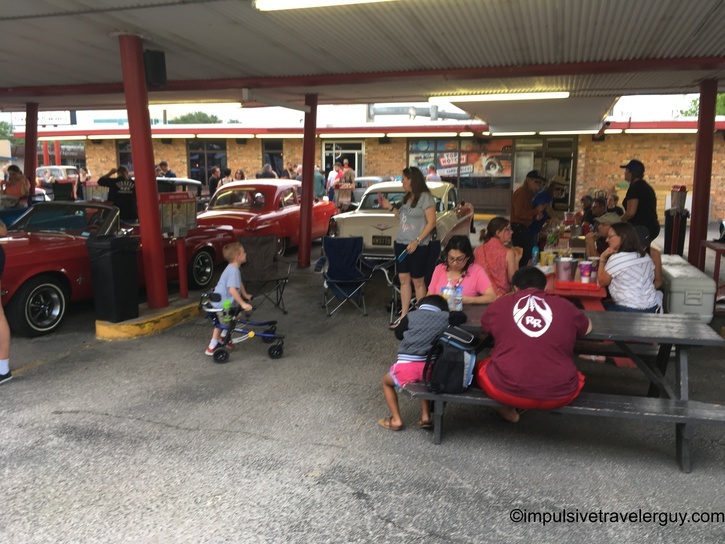 Every first Saturday of the month, they have a Hot Rod Drive-In Night which is essentially a car show. 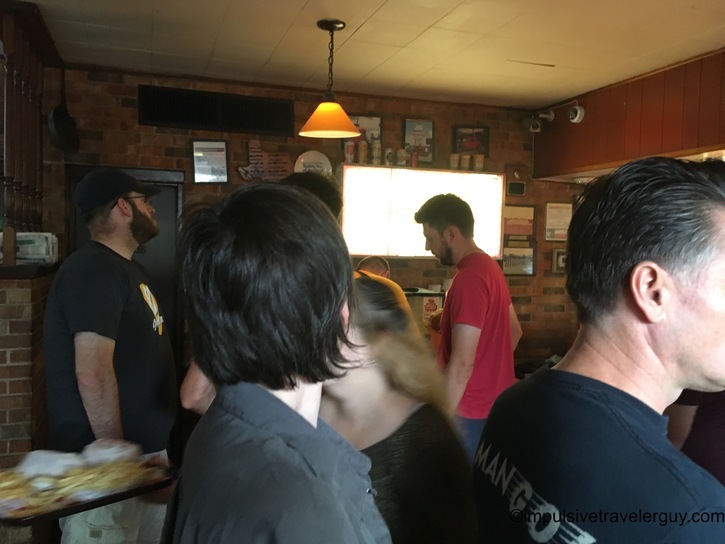 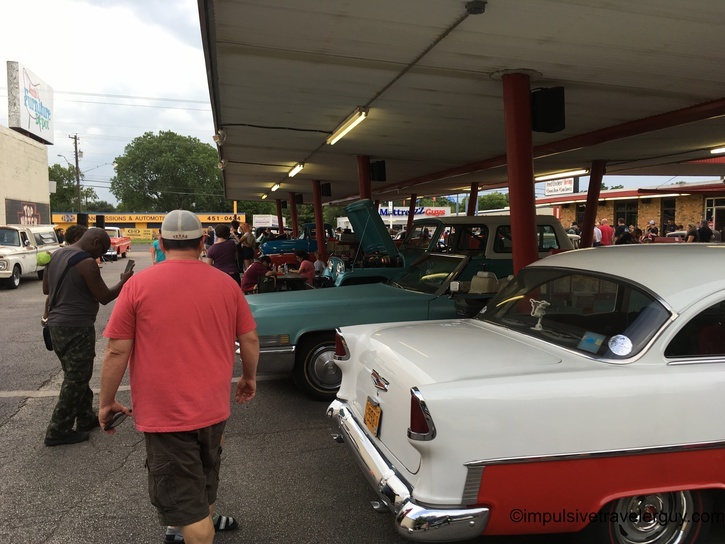 I went to the June one and it was definitely packed. 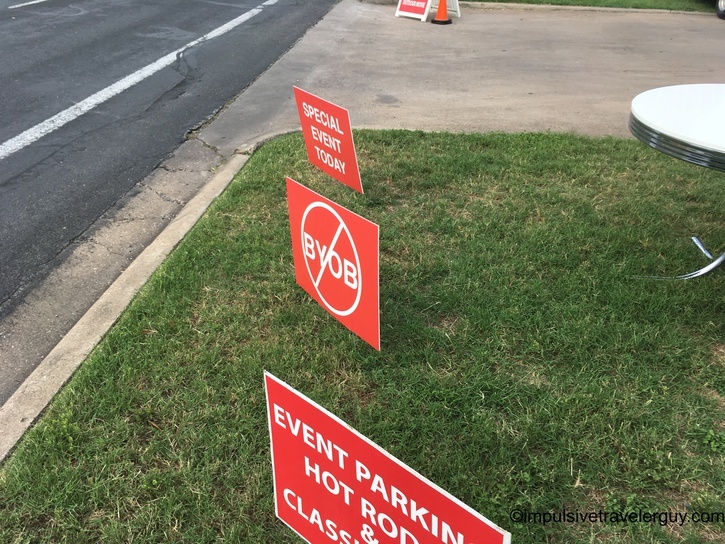 If I had my Cougar down here, I’d probably leave super early to beat the crowds and get a spot. 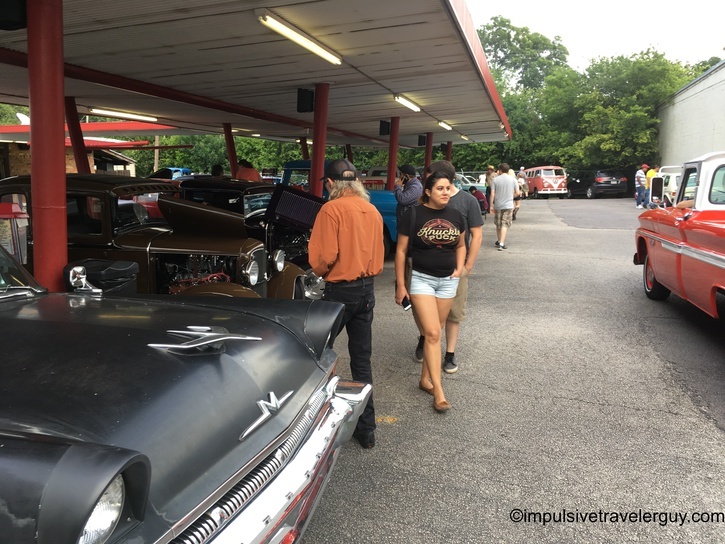 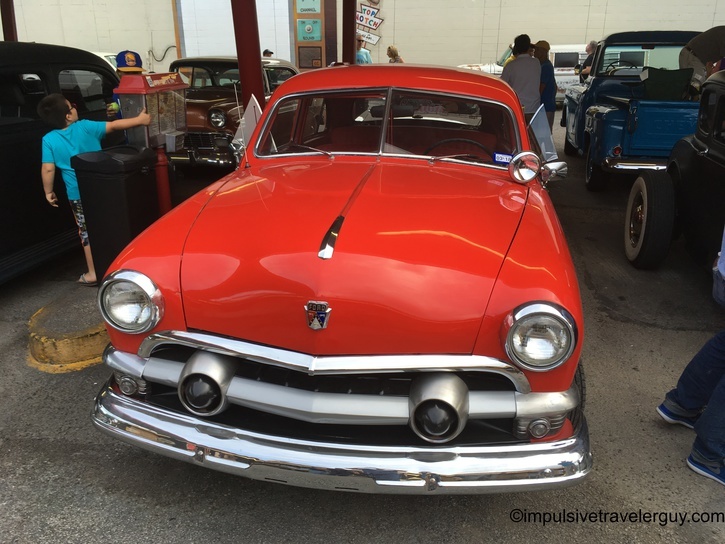 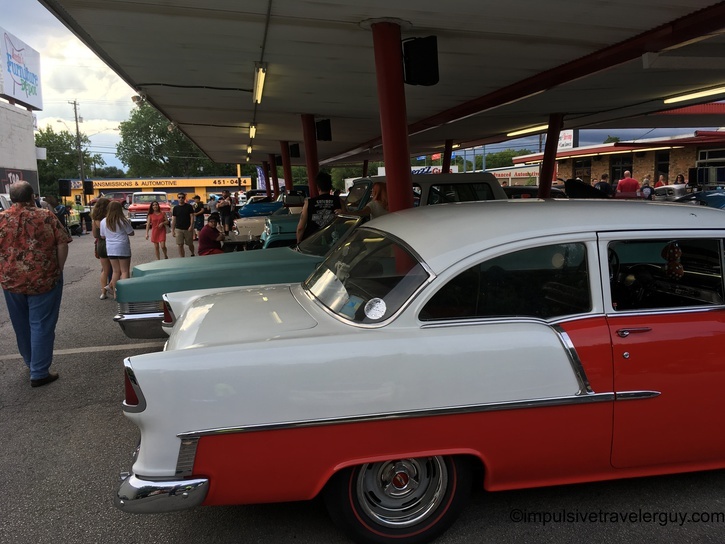 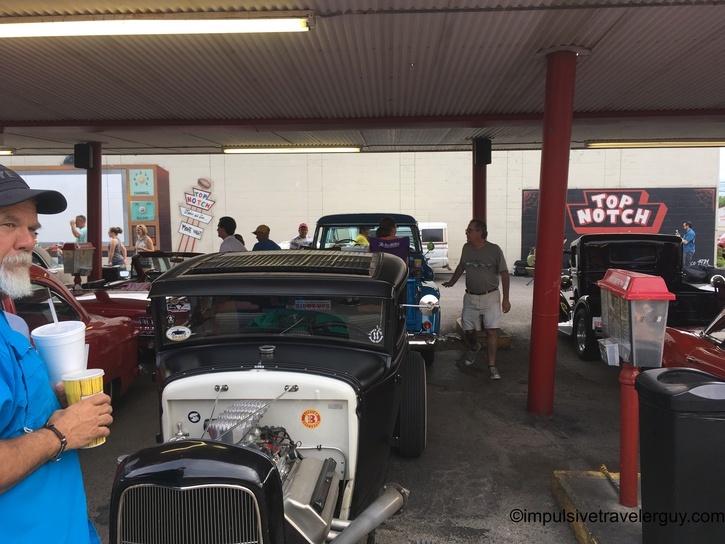 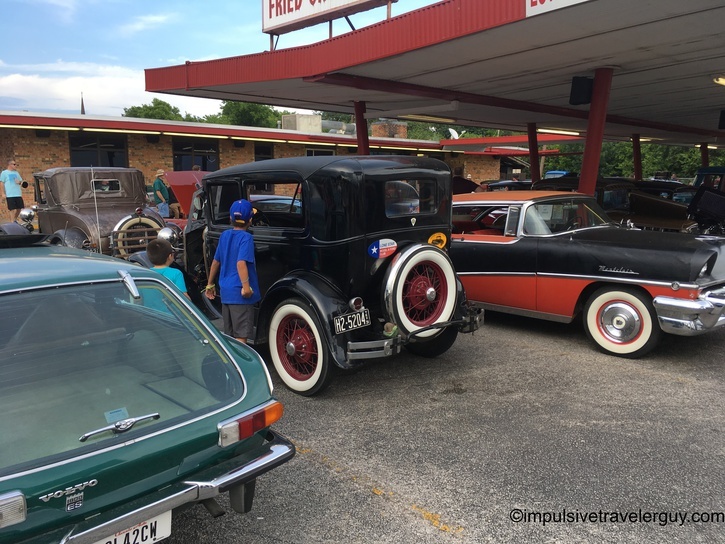 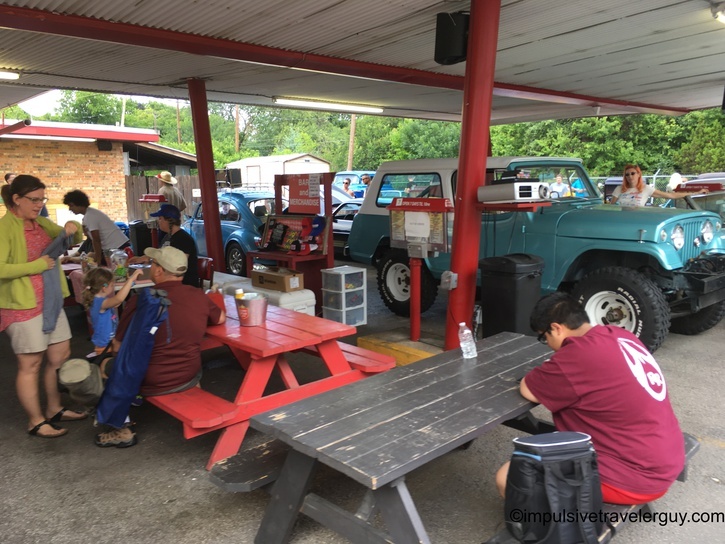 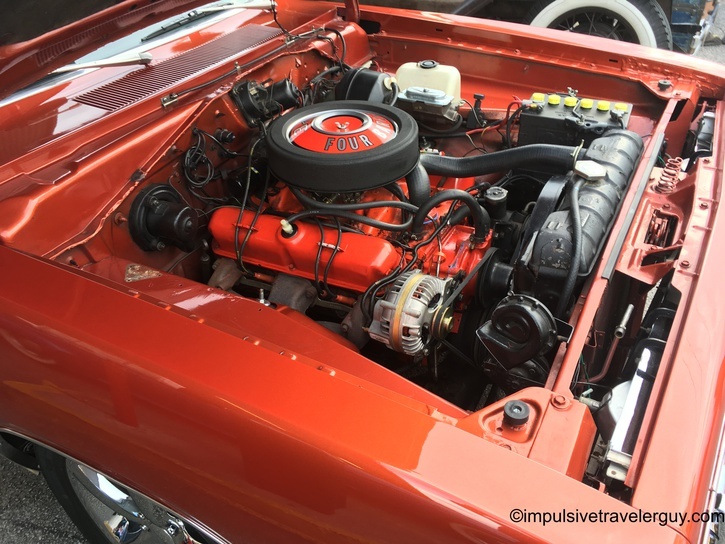 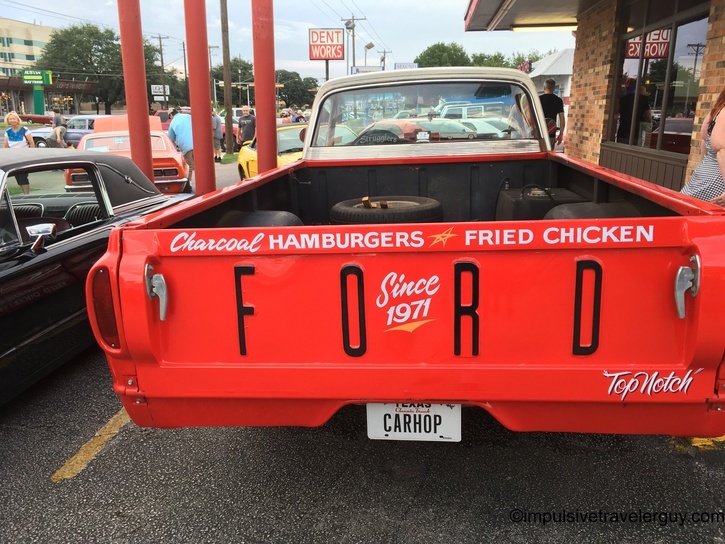 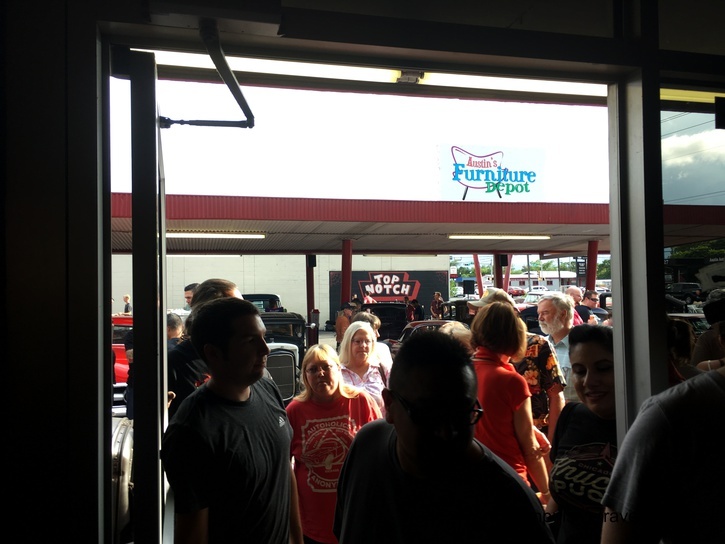 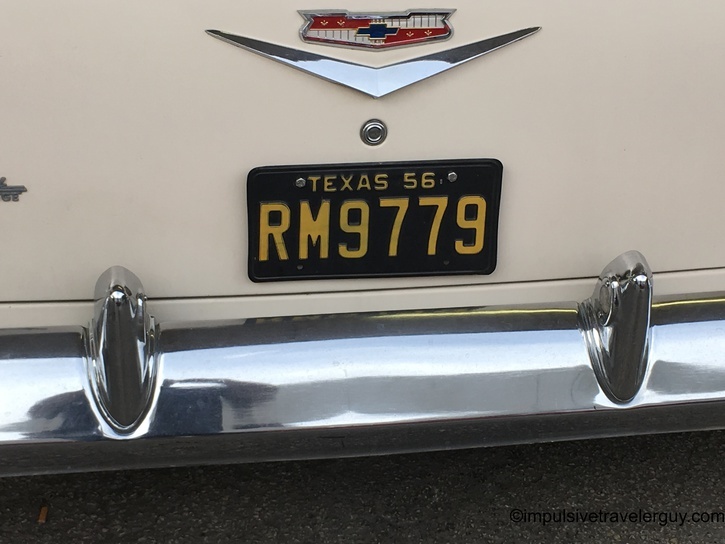 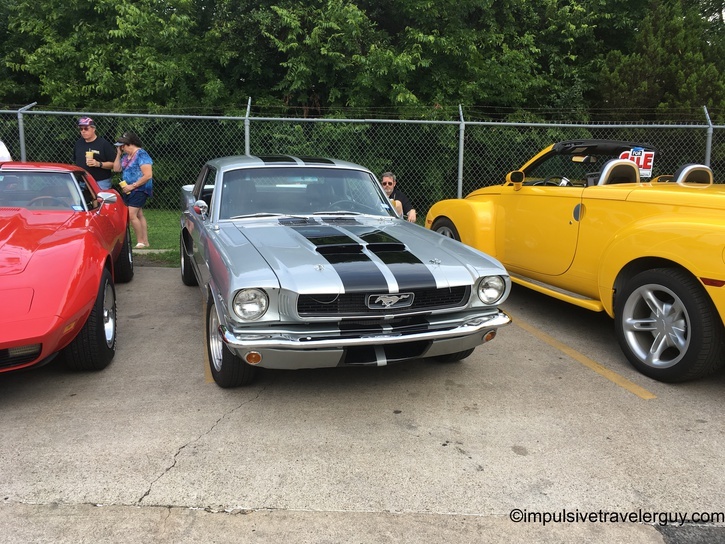 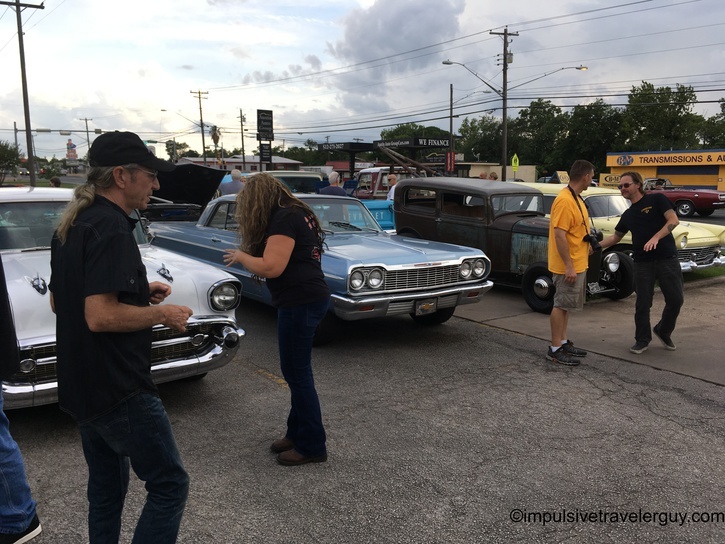 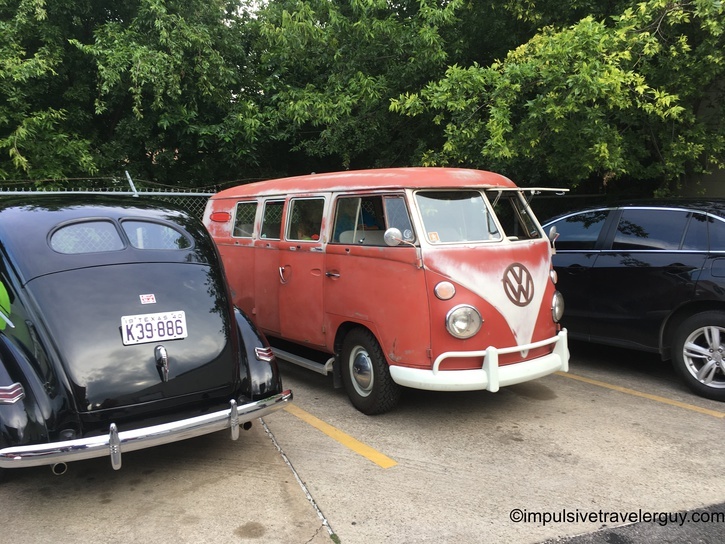 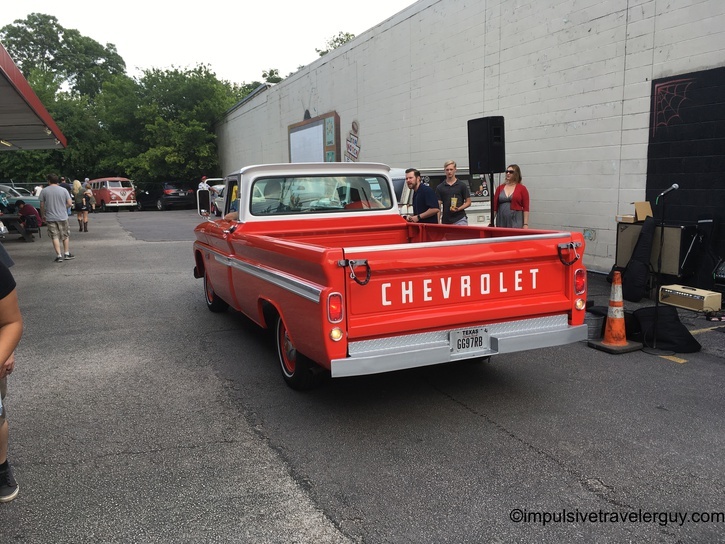 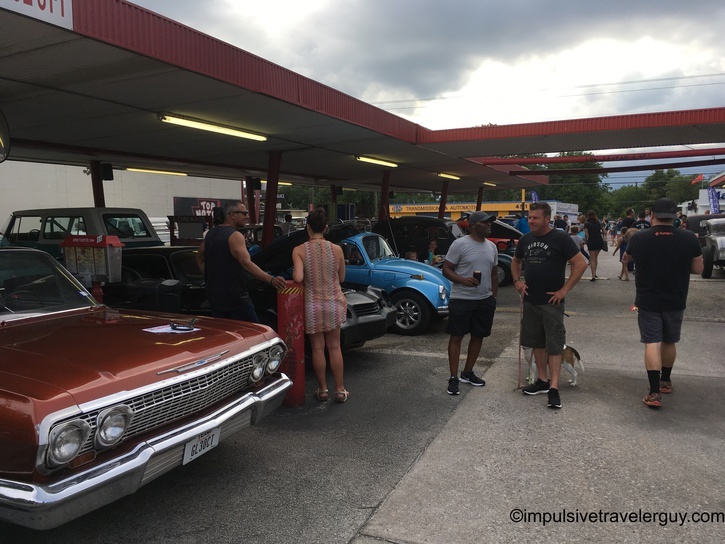 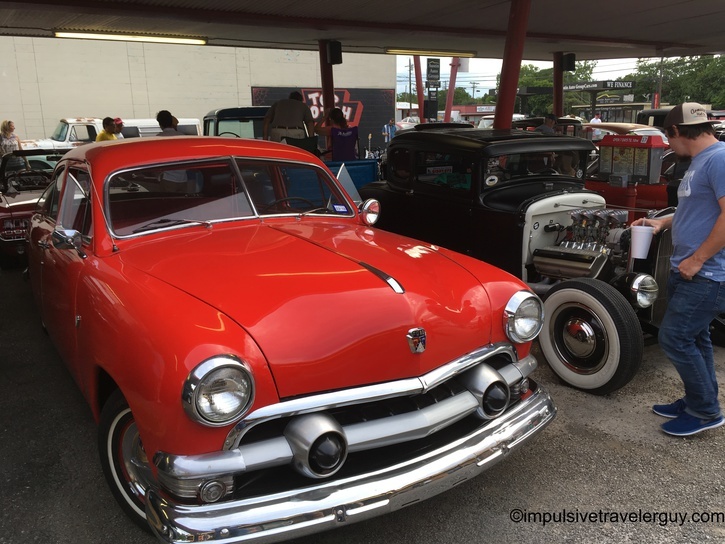 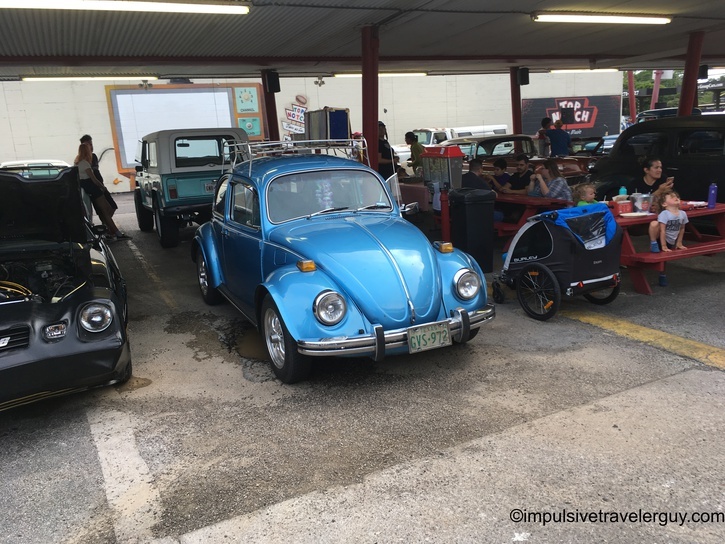 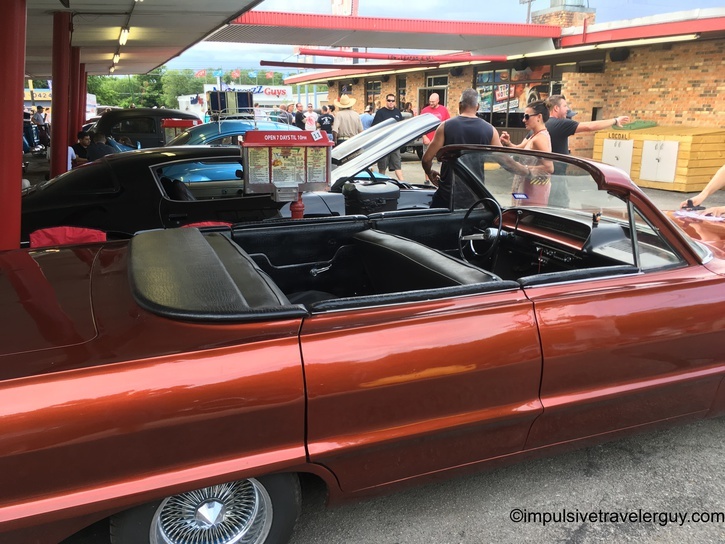 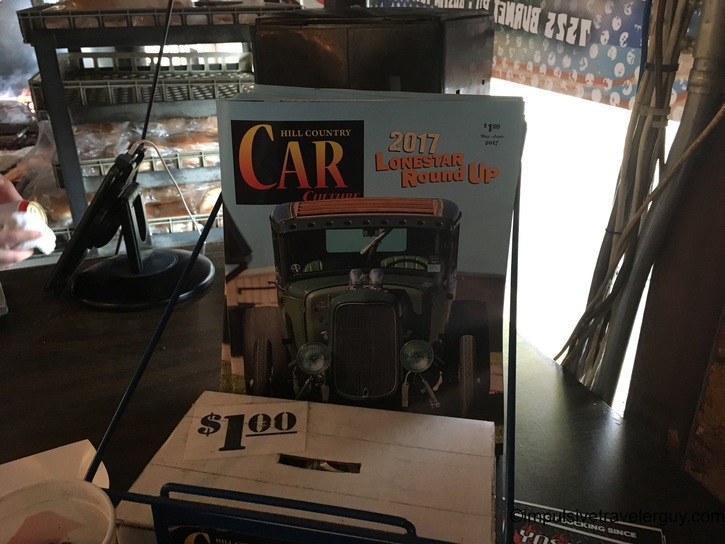 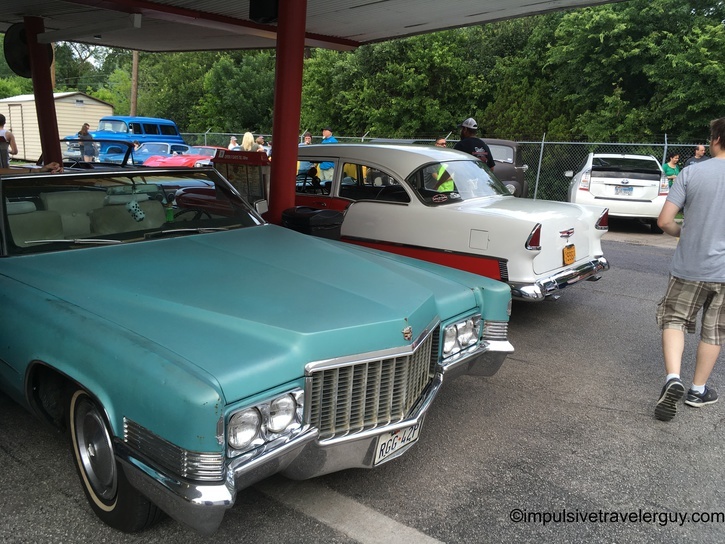 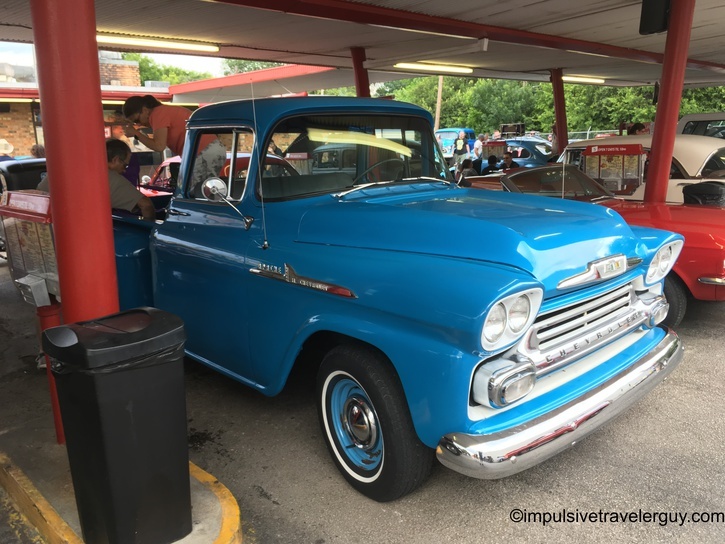 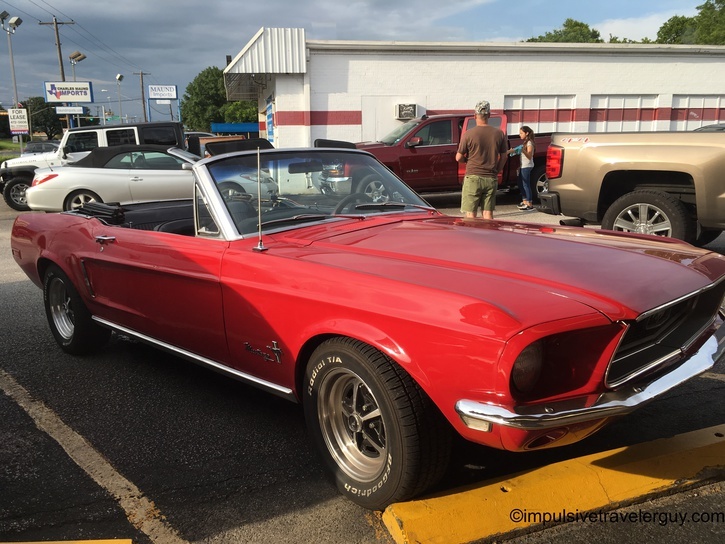 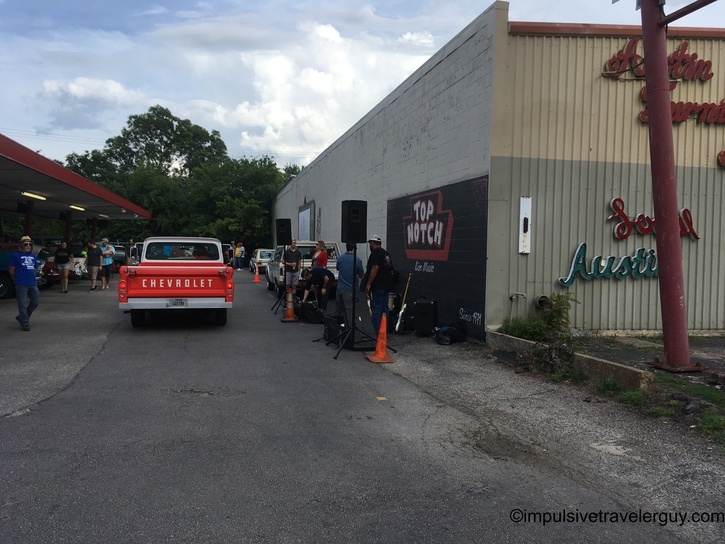 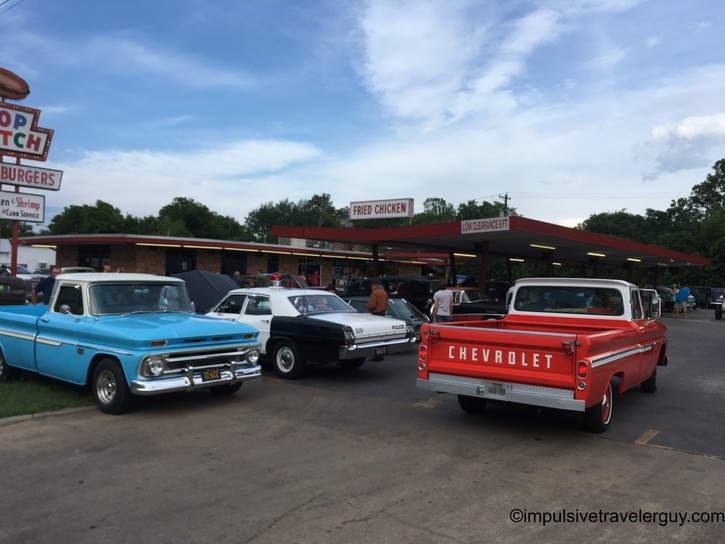 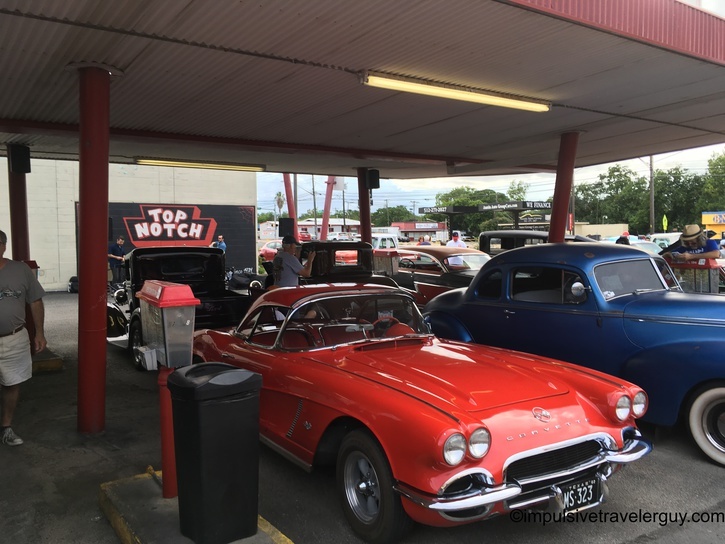 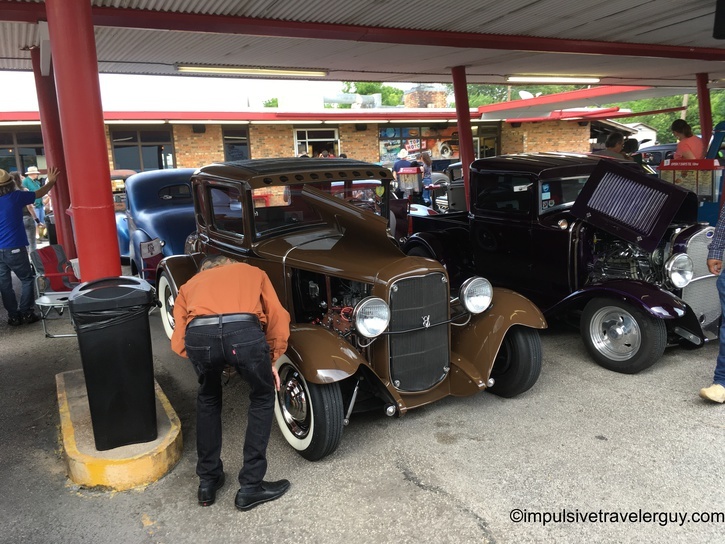 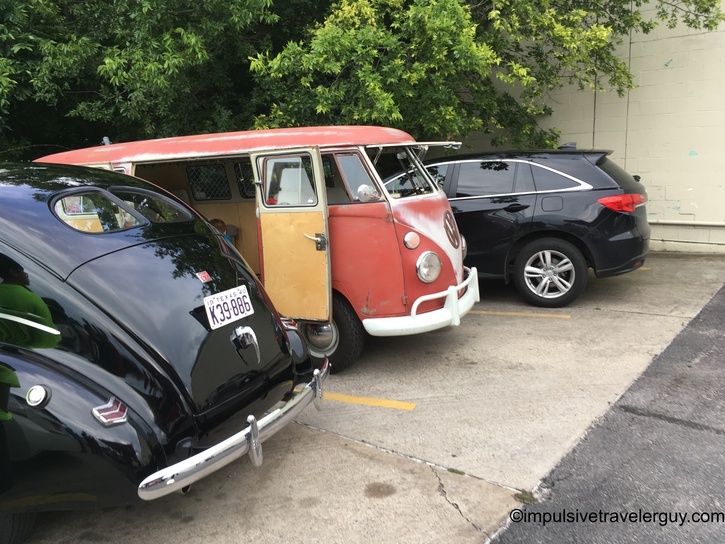 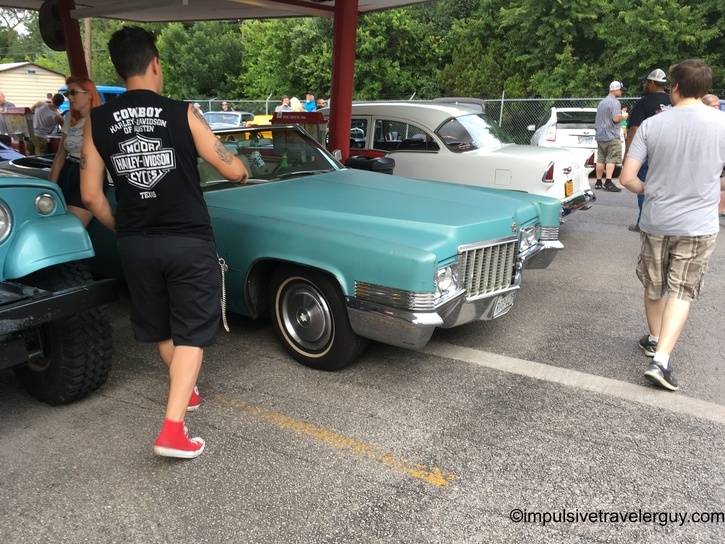 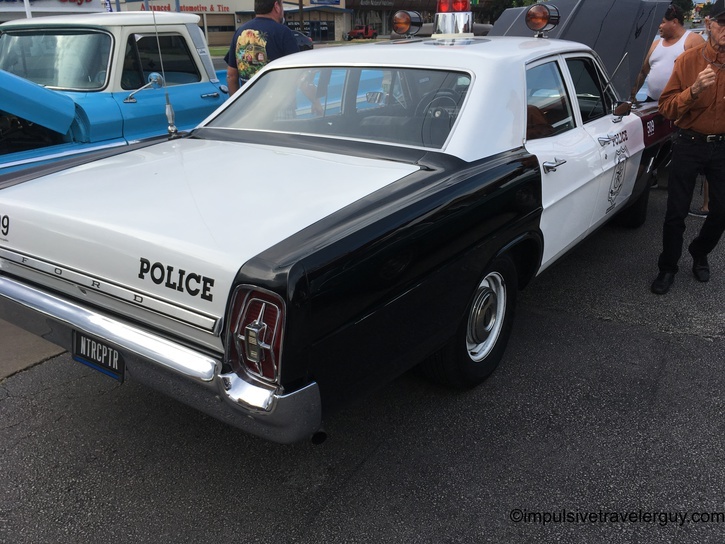 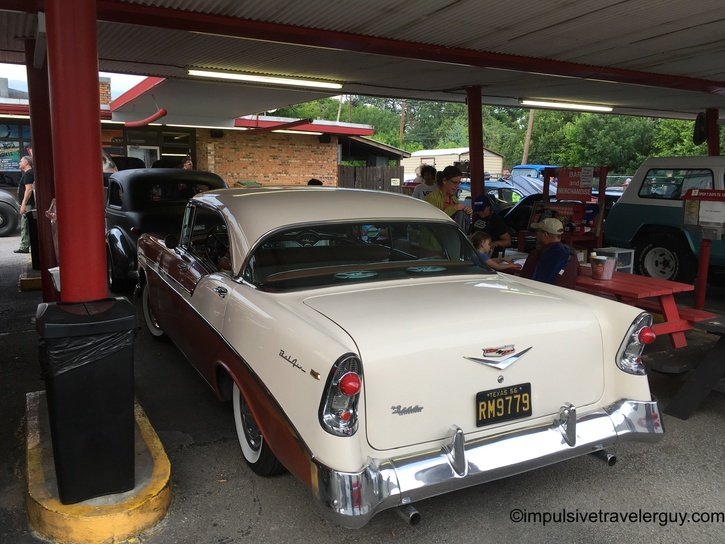 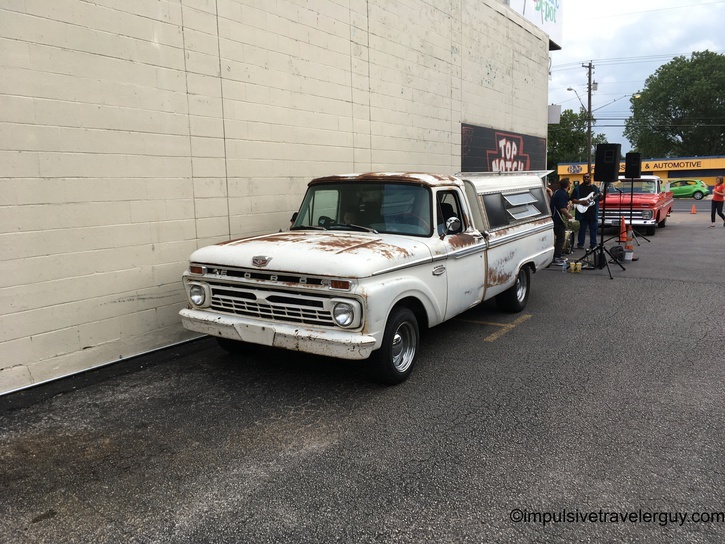 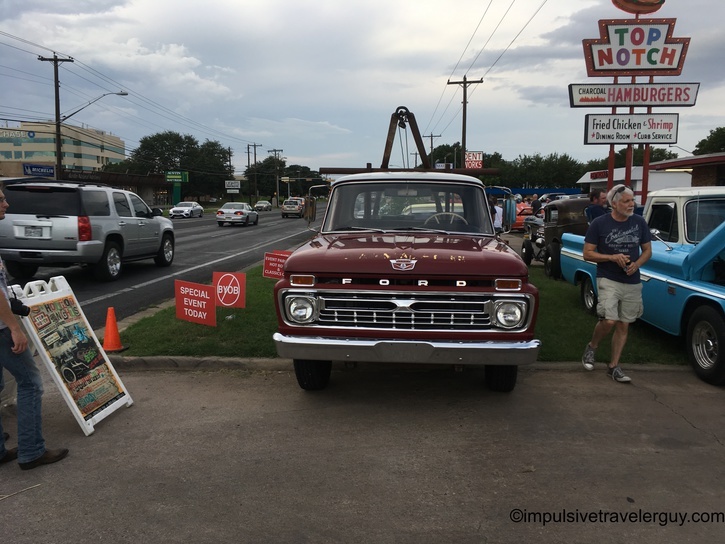 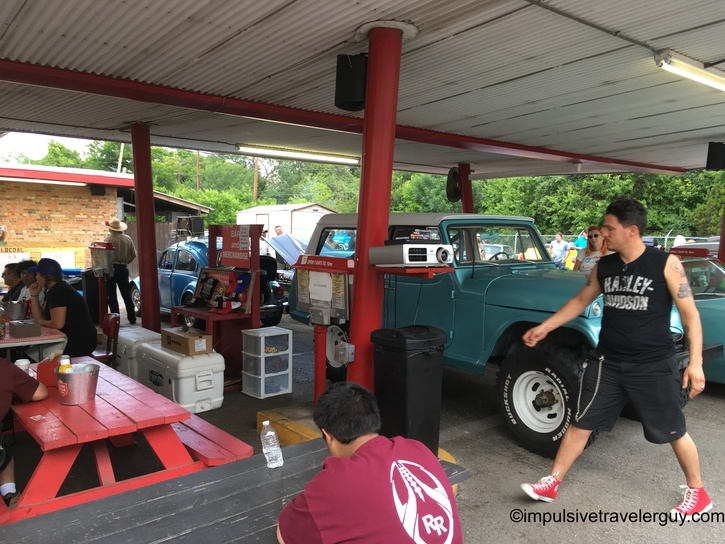 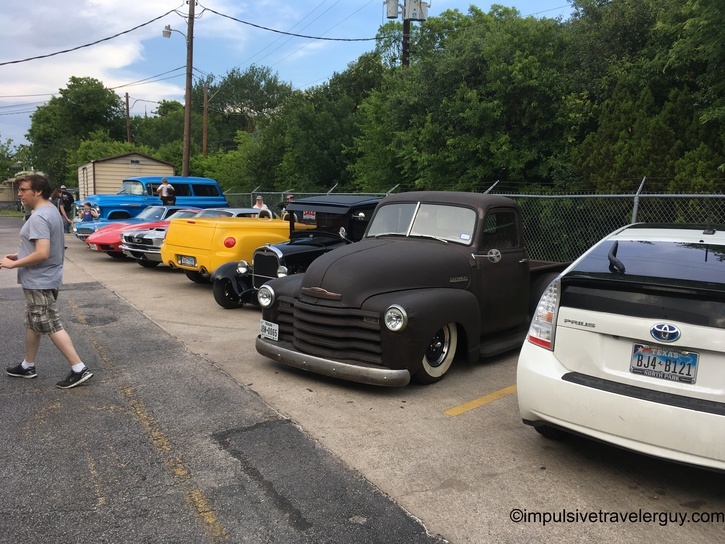 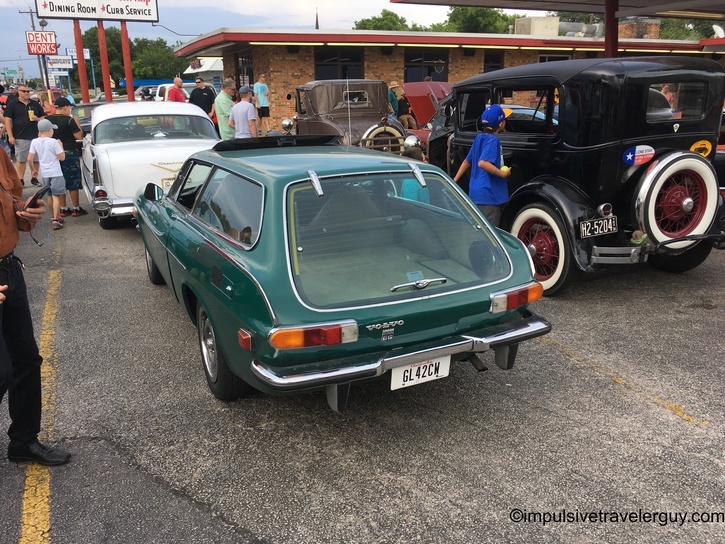 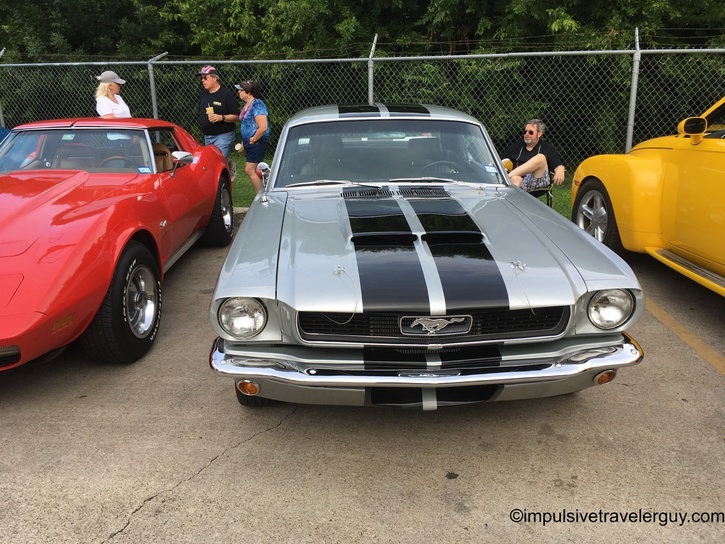 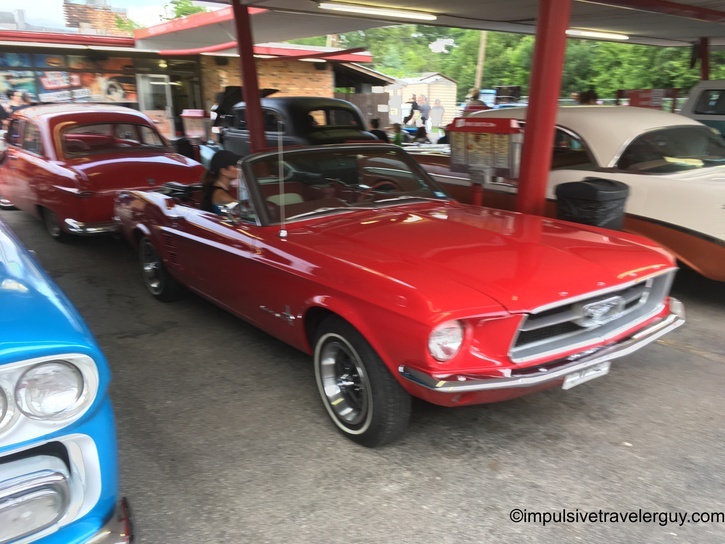 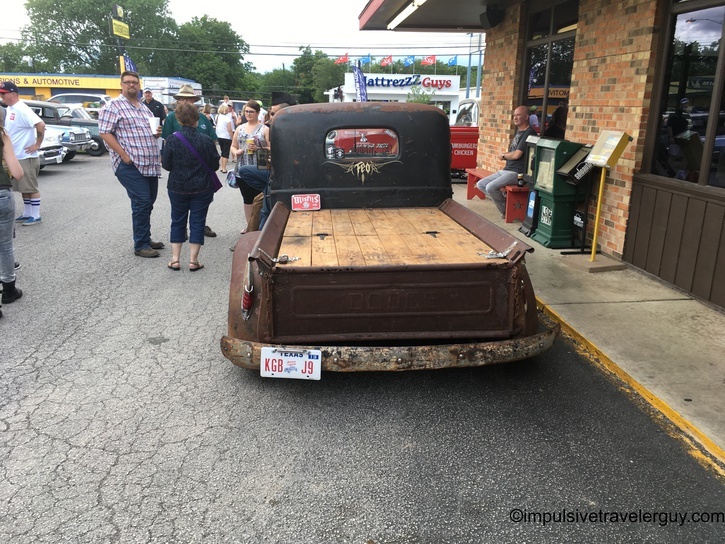 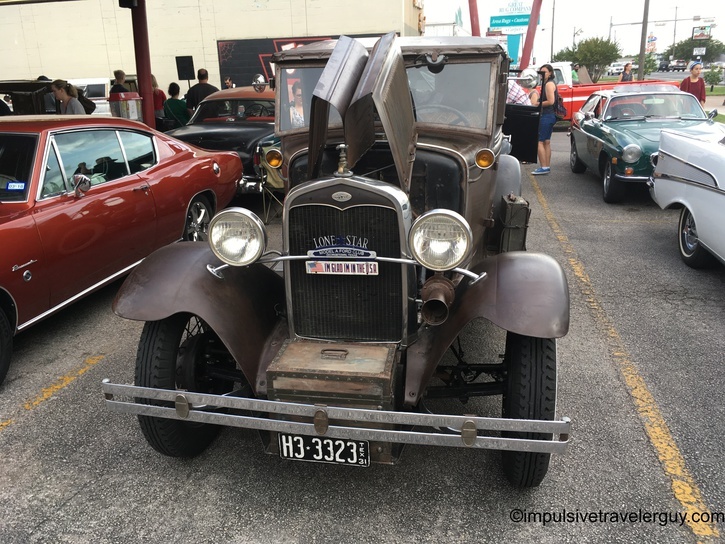 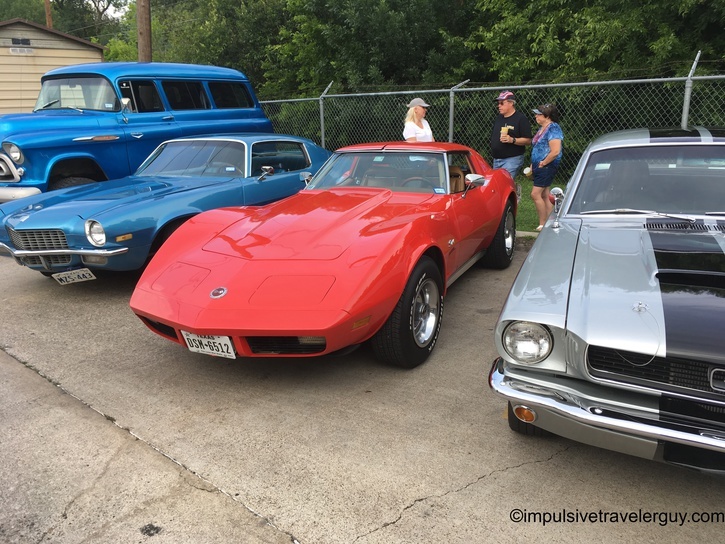 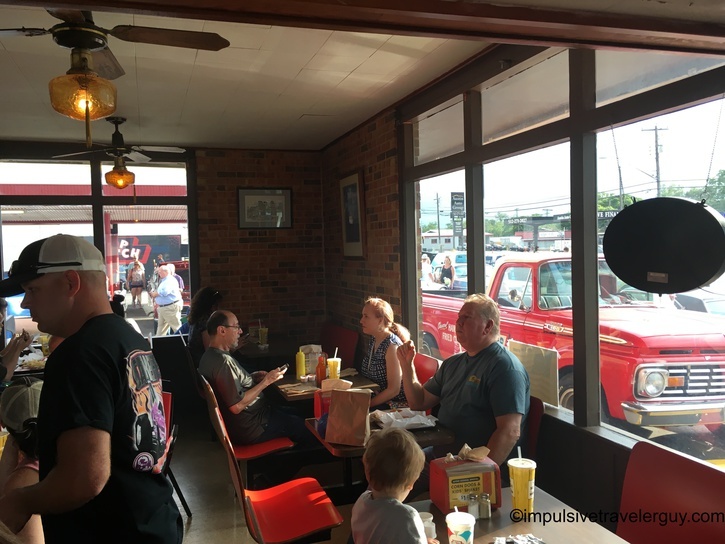 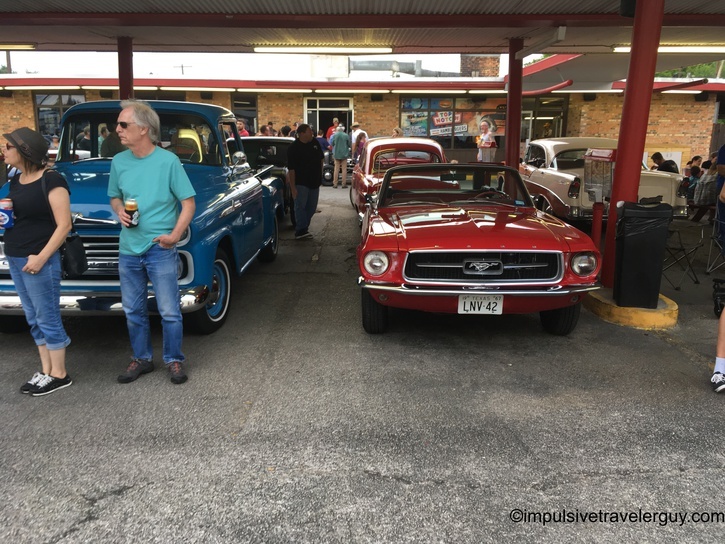 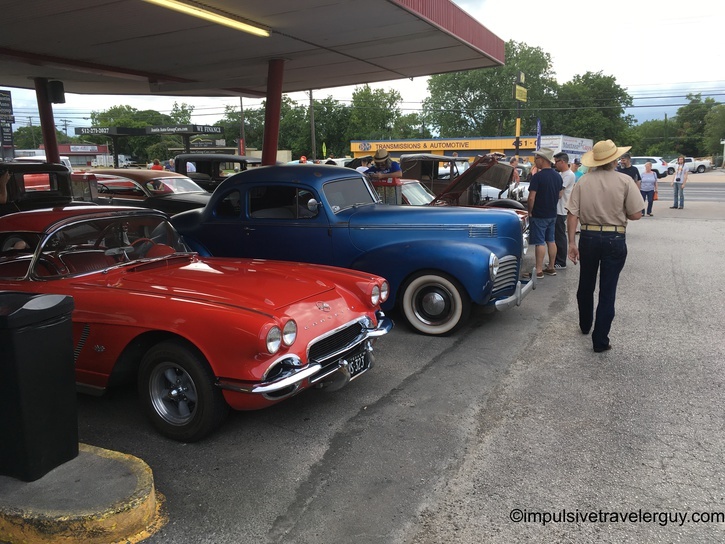 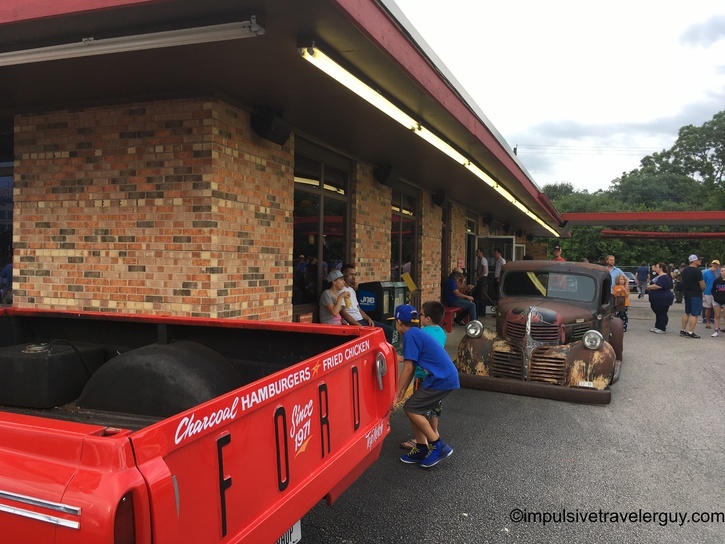 There were a lot of cool cars, good charbroiled burgers (and don’t forget fried chicken and shrimp), and even a live band. 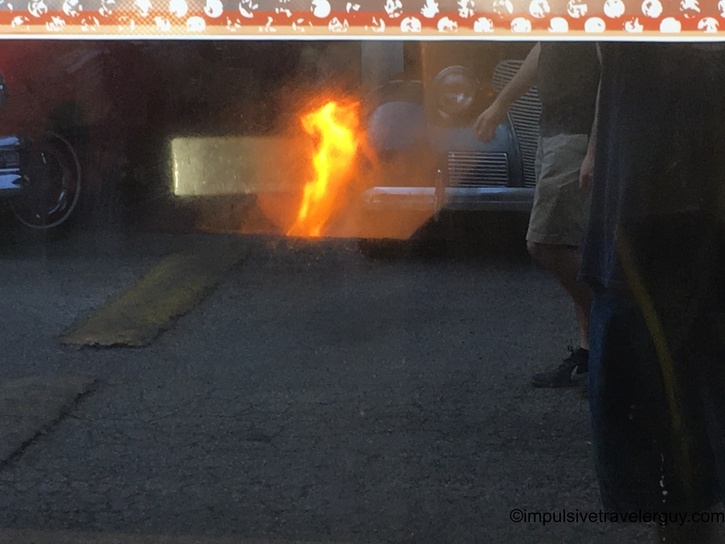 I took a ton of pictures, so I’ll put them all below. 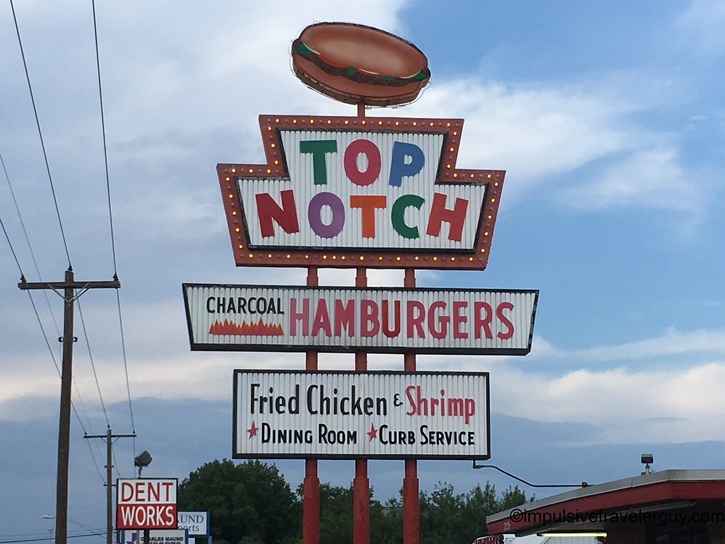 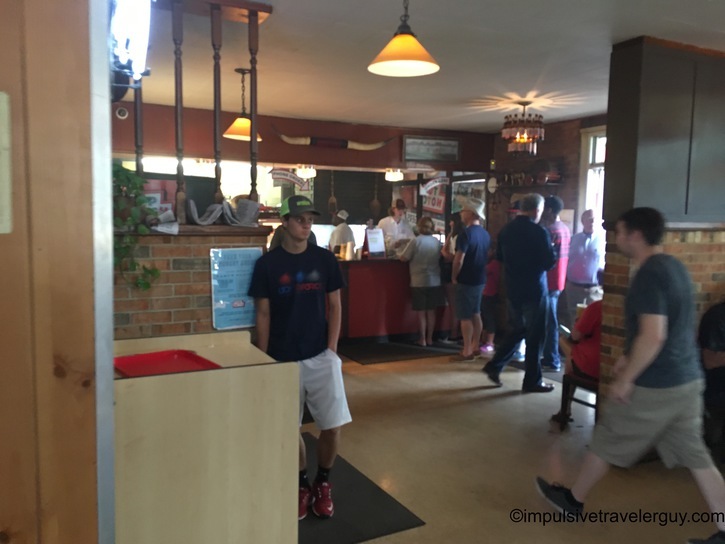 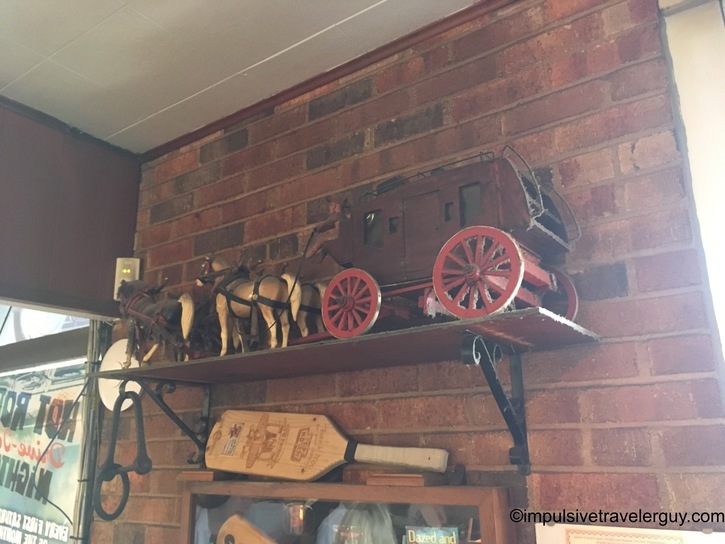 If you want a place with really good food and also be taken back to an era gone past, Top Notch is the place to be!